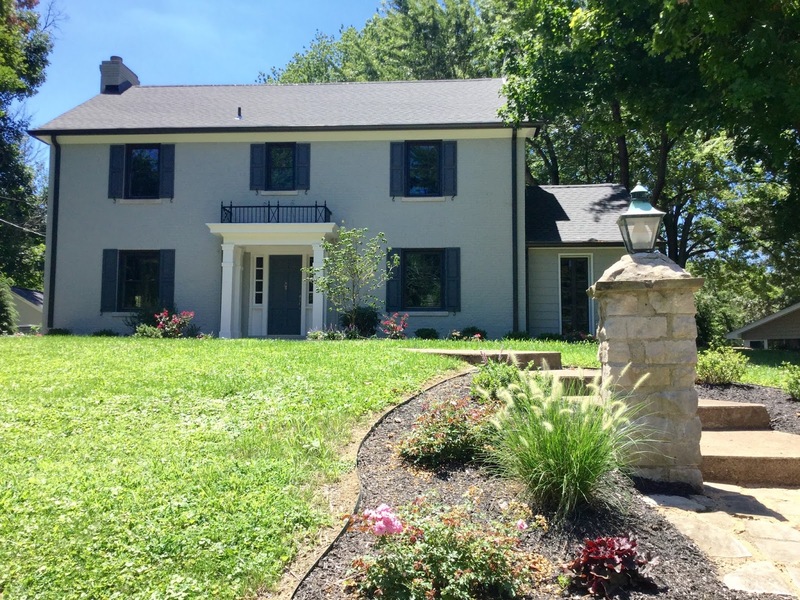 After working on this beautiful home for the past several months, the time has come. 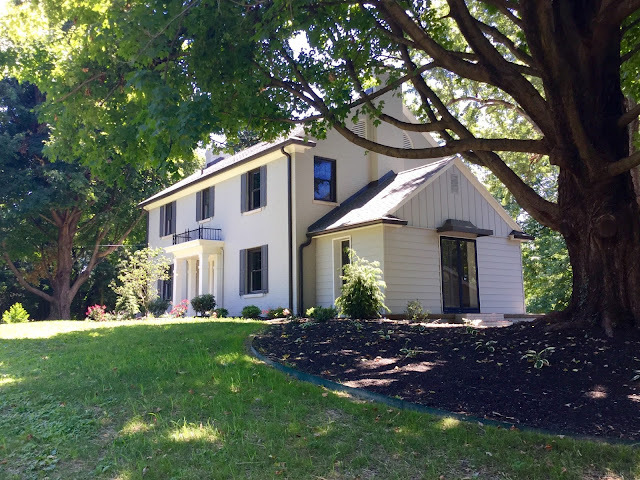 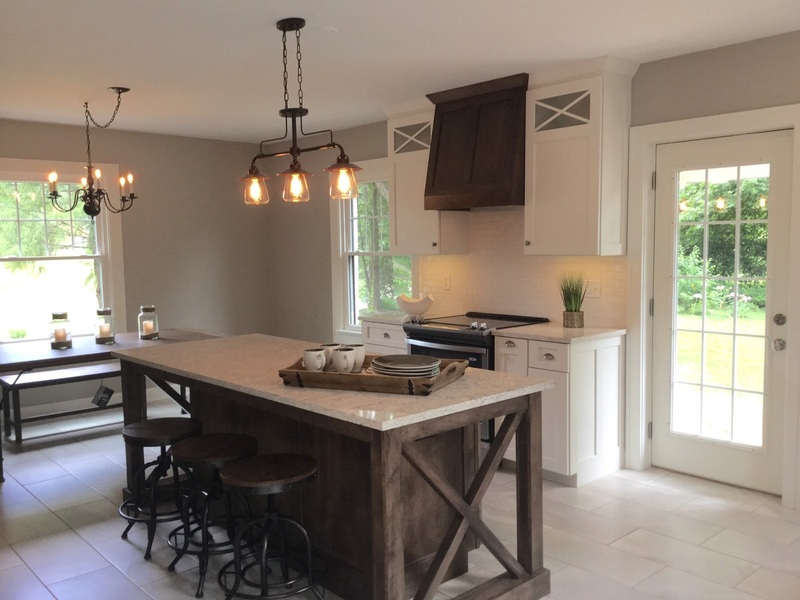 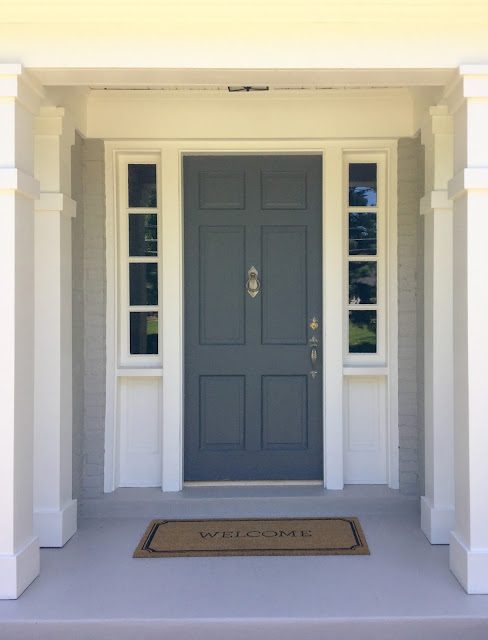 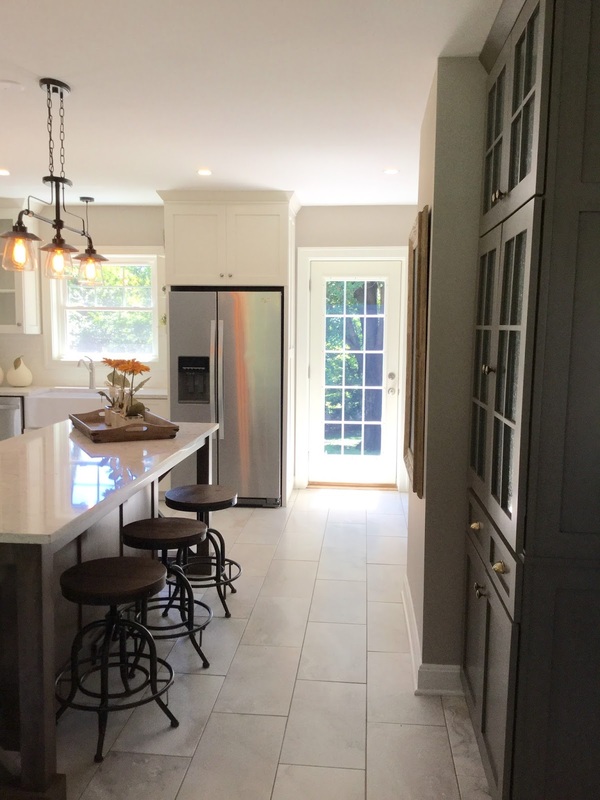 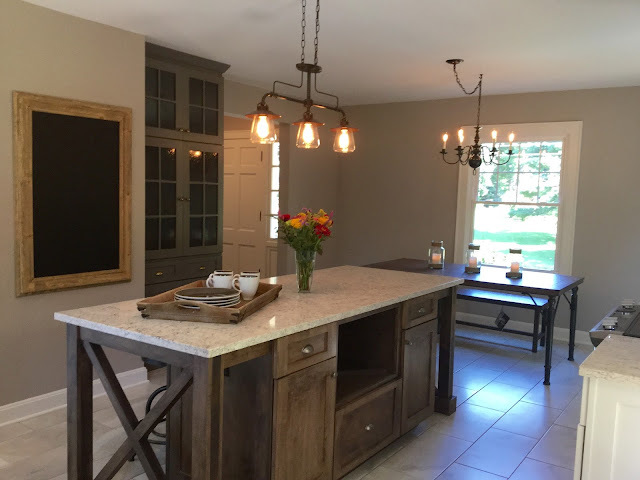 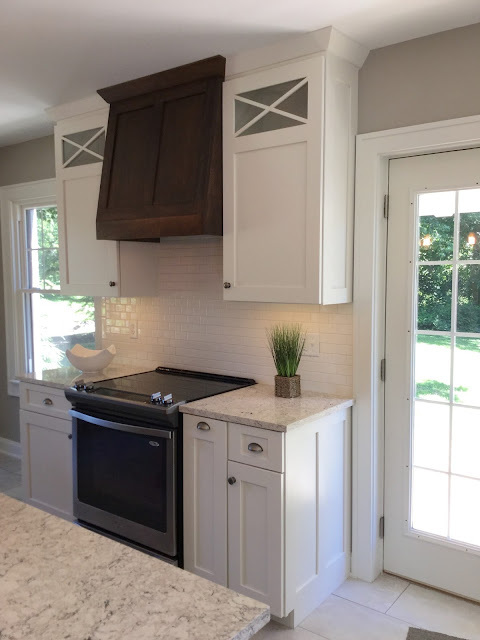 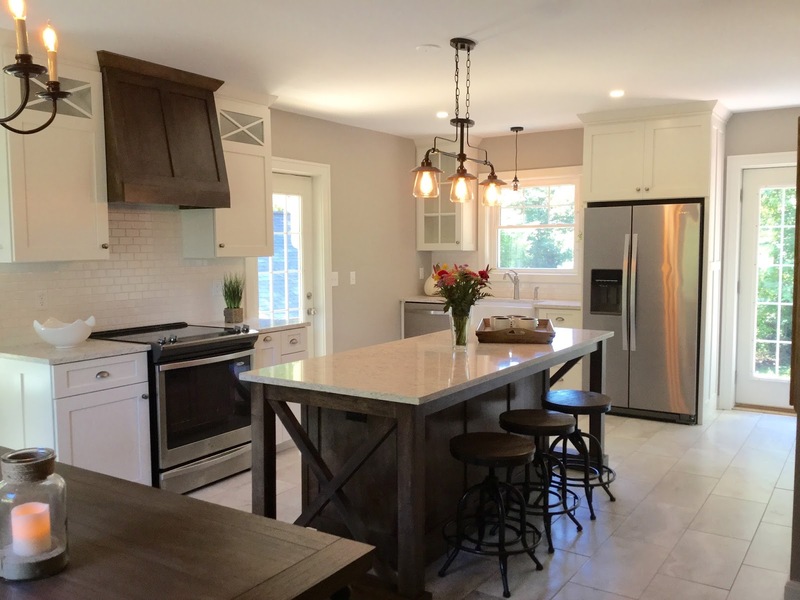 This stately 1930’s Colonial, nestled on a tree-lined one acre lot, has under gone a complete and amazing renovation with nearly all new construction while maintaining the wonderful character and charm of a Farm House. 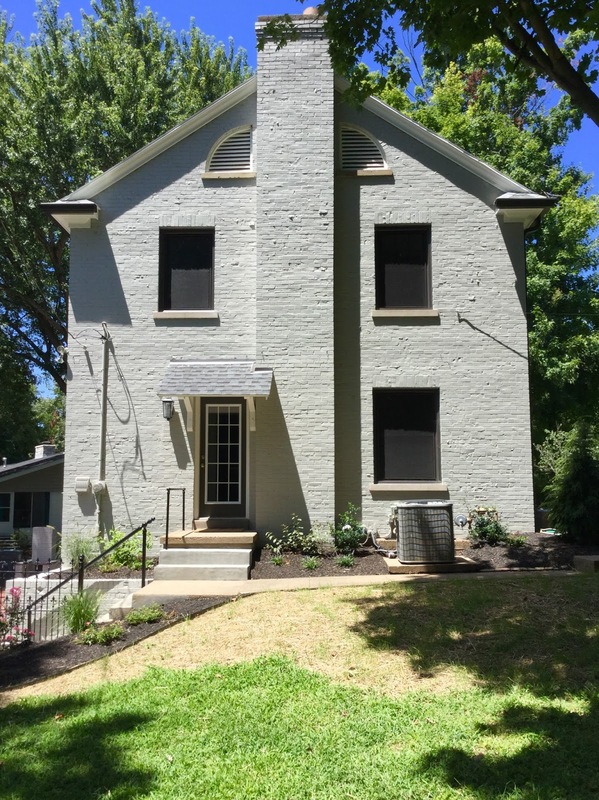 The Colonial is now currently ON THE MARKET. Yes, that’s right, it is FOR SALE. 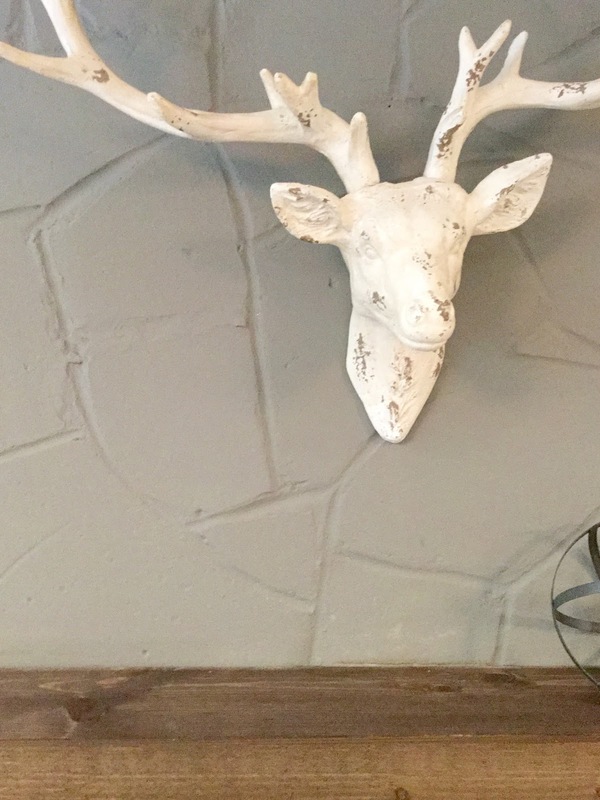 You need to come out and see it! 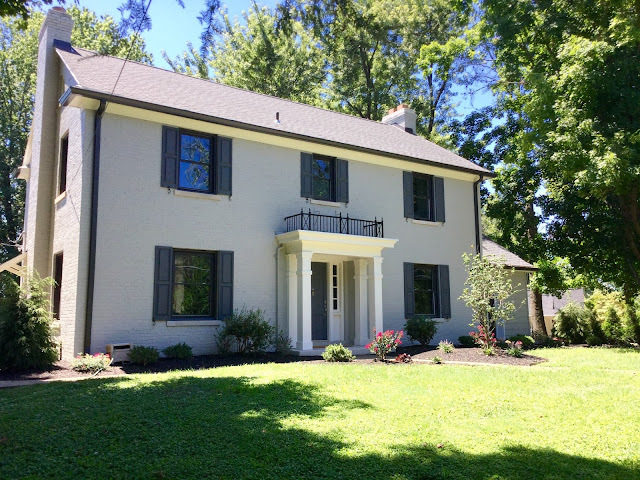 Simply known in the neighborhood as “The Colonial”, the original home was built in 1930. 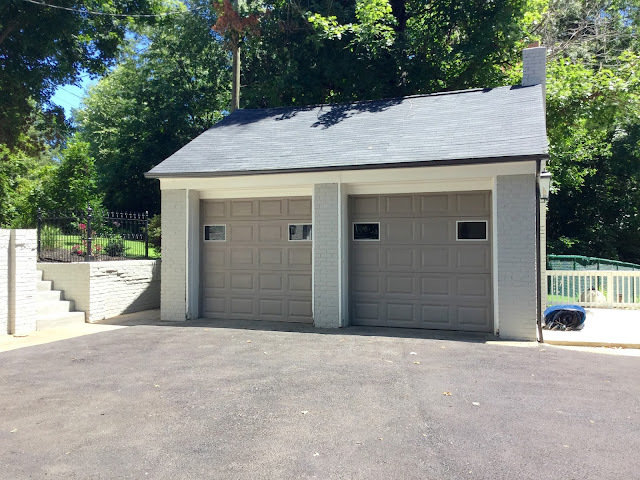 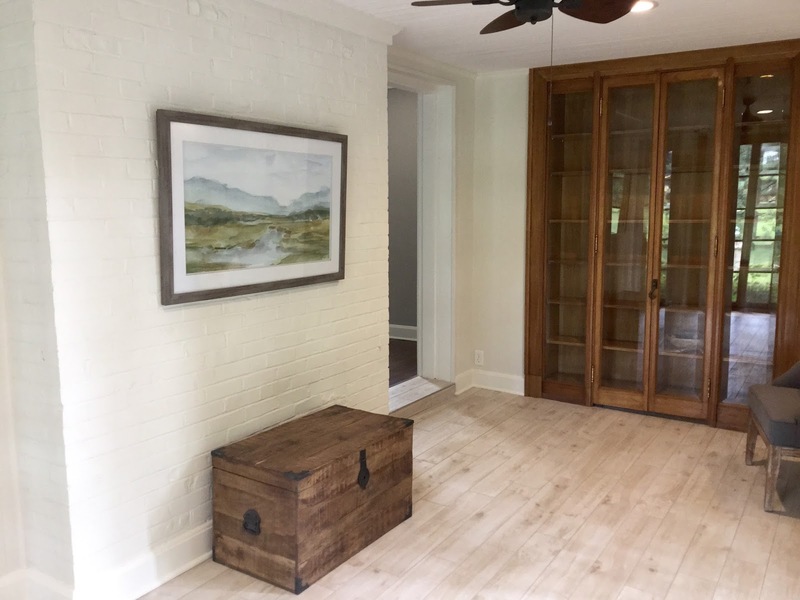 Interestingly, the home’s exterior wall structure was not built with traditional lumber, but with large glazed cinder blocks, and then with an exterior solid brick façade. 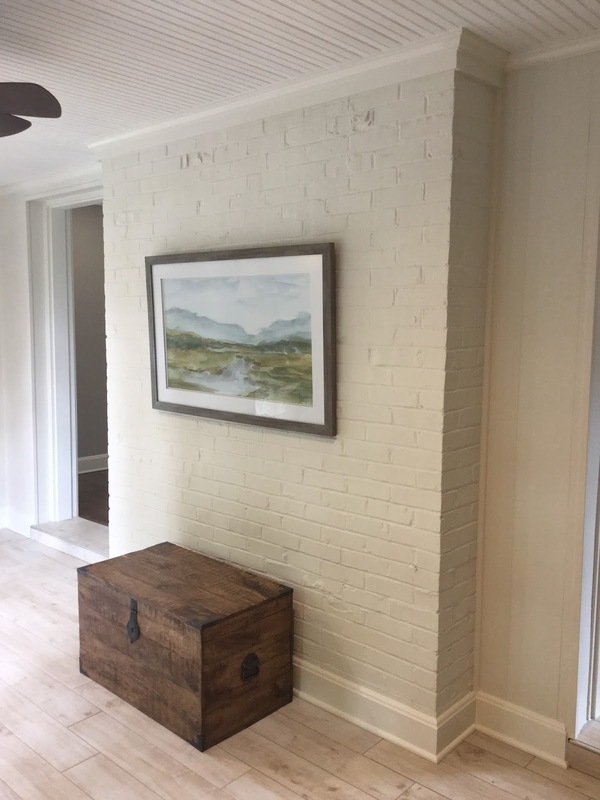 The Colonial’s massive structure seems to have been built to withstand the severest of storms, while the air chambers within the glazed cinder blocks appear to serve as an insulator. Sitting prominently on one of the highest points overlooking Arcadian Acres, neighbors have shared with us that the original owners of the home actually owned all the land now known as Arcadian Acres. 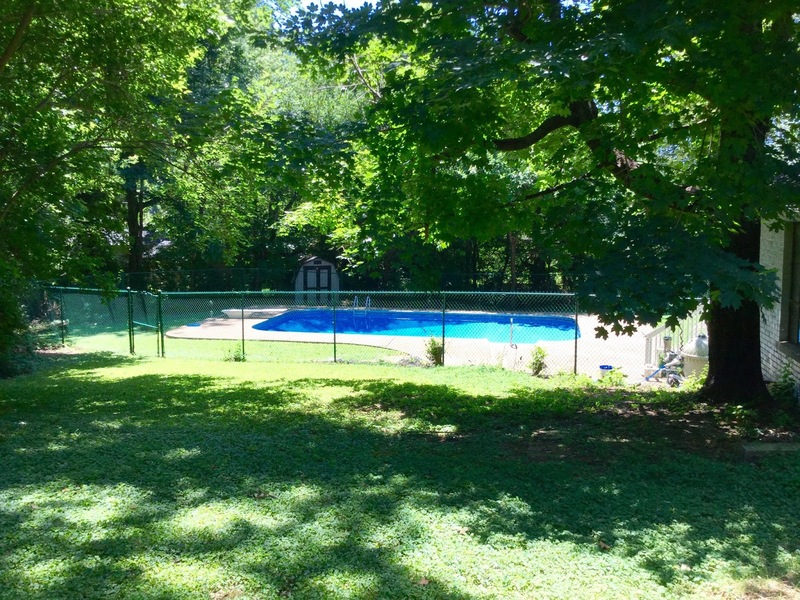 Majestic 80 year old maple trees surround, as if guarding The Colonial, and add to its amazing charm and character. New 35yr GAF Architectural Series roof and flashing with the latest attic airflow ventilation systems; R40 insulation by Graber Insulators; and new bronze commercial size gutters with gutter guards. 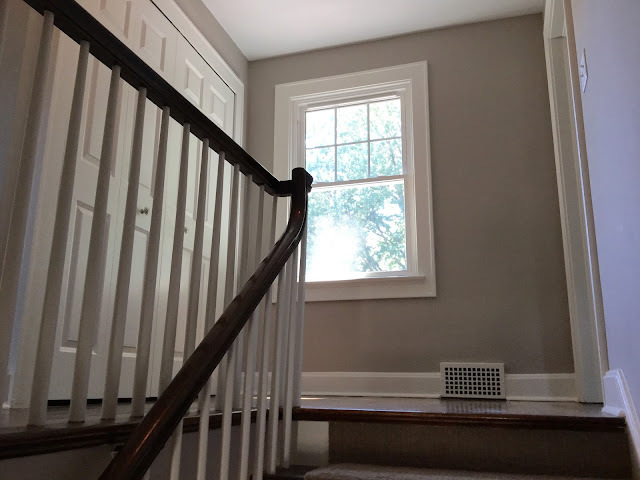 All new energy-efficient American Standard windows (rated top pick by Consumer Reports), new shutters, and custom-color exterior painting. 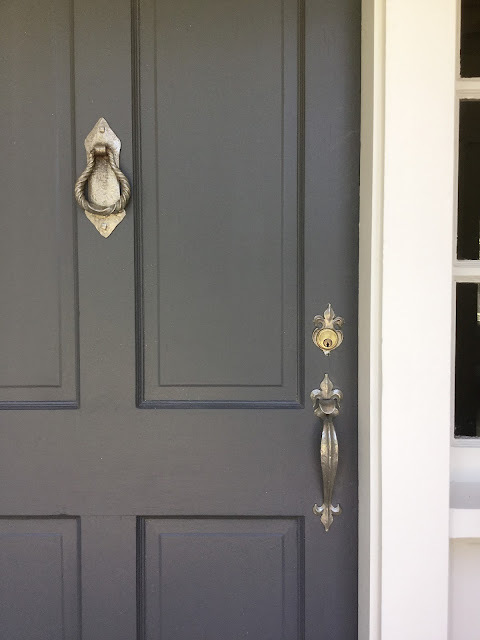 Restored original Pewter knocker and door handle. 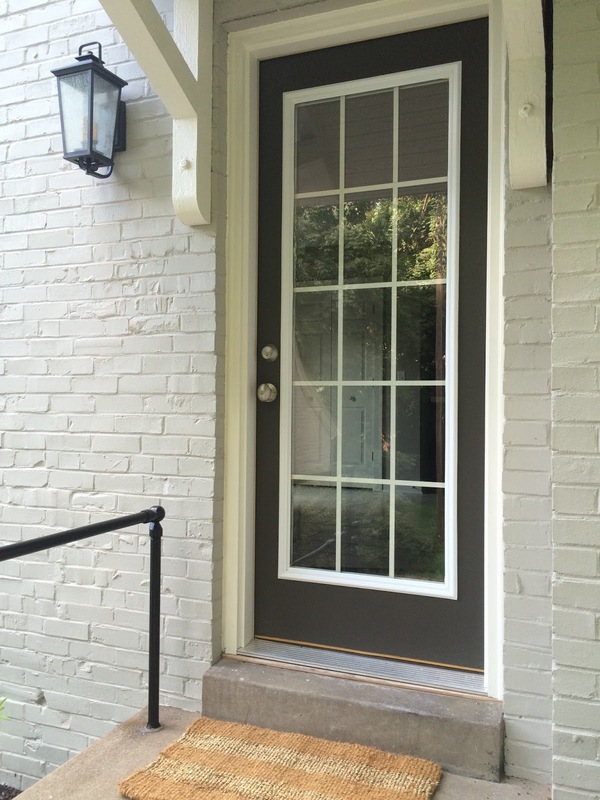 All new full glass view American Standard exterior doors with new exterior lighting. 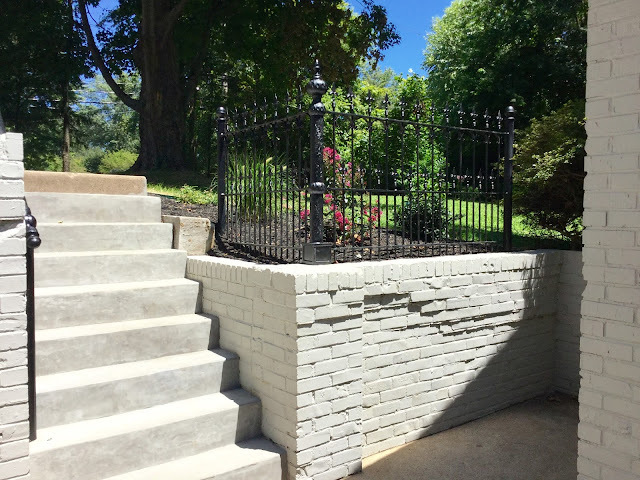 All new landscaping designed with year round color palette, and restored original rod-iron fence accents by Vintage Iron Designs. 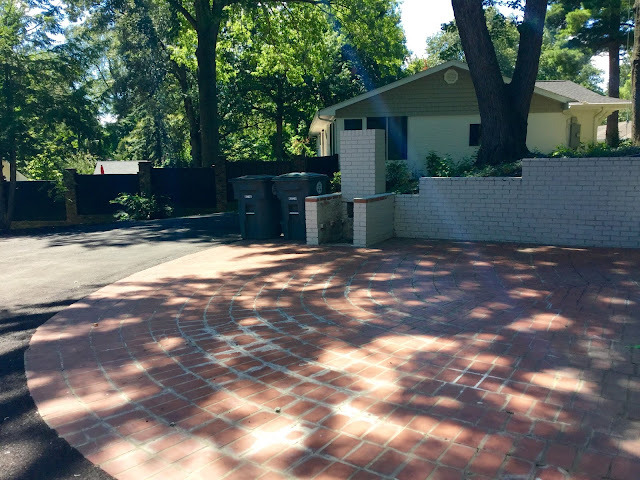 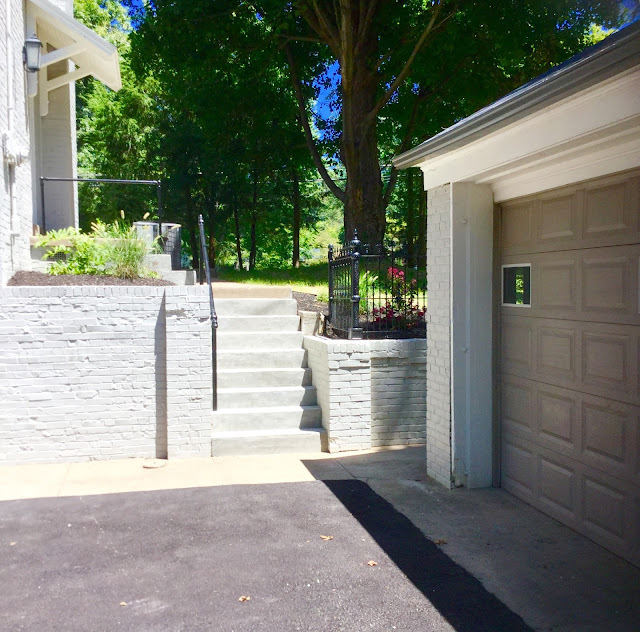 Driveway is freshly paved in new asphalt by Surface Pros, additional stone-lined side parking area, and new concrete stairs. 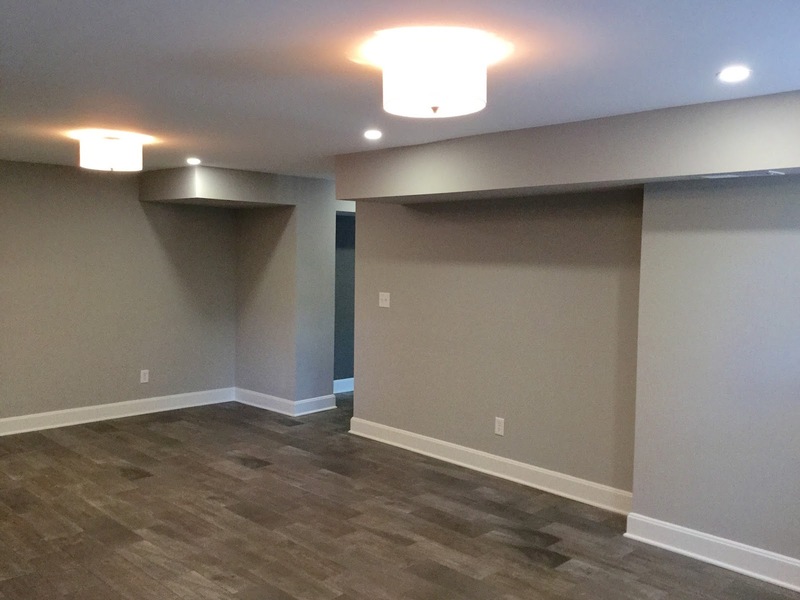 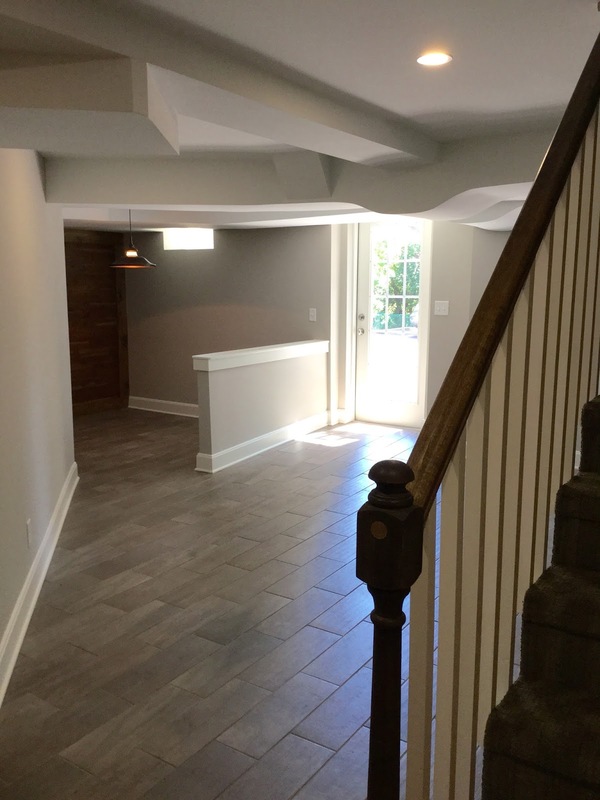 The walkout basement opens out to a large brick-paved patio area with an original outdoor fire pit and two-car garage. New custom wood deck stairs lead down to the large private built-in dive pool area. 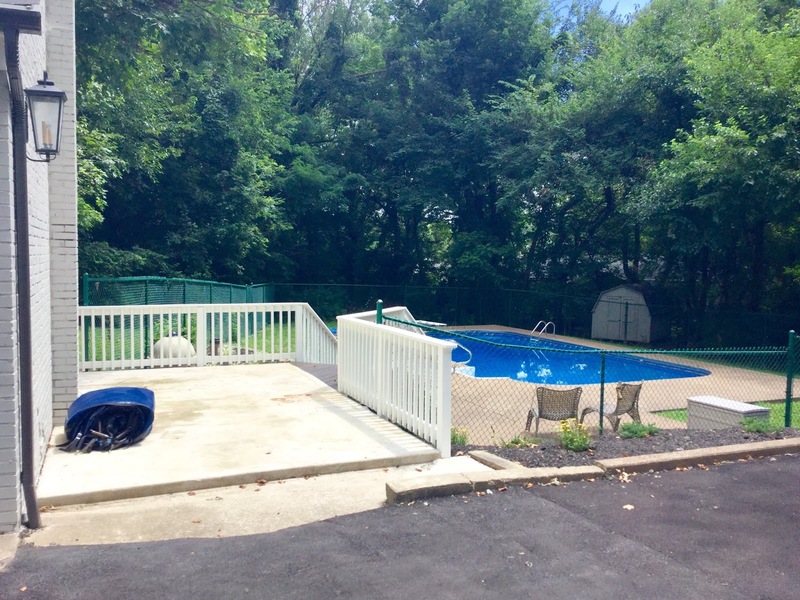 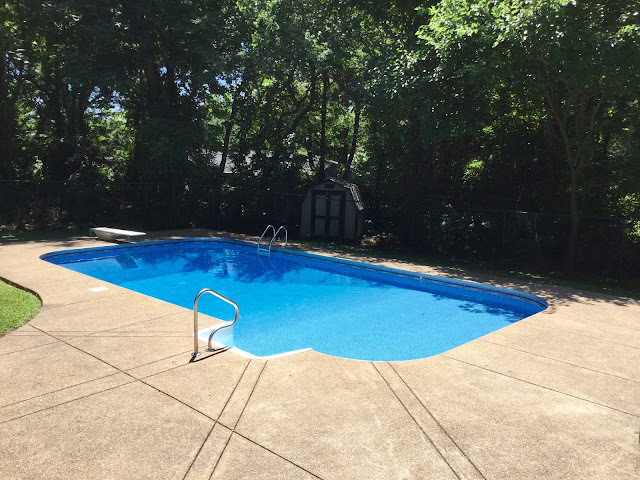 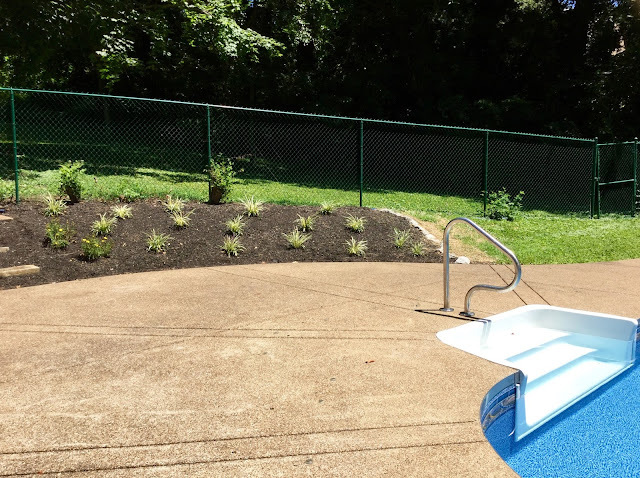 The pool has a brand new custom cover and new liner with a new pool pump motor by Aqua Care. 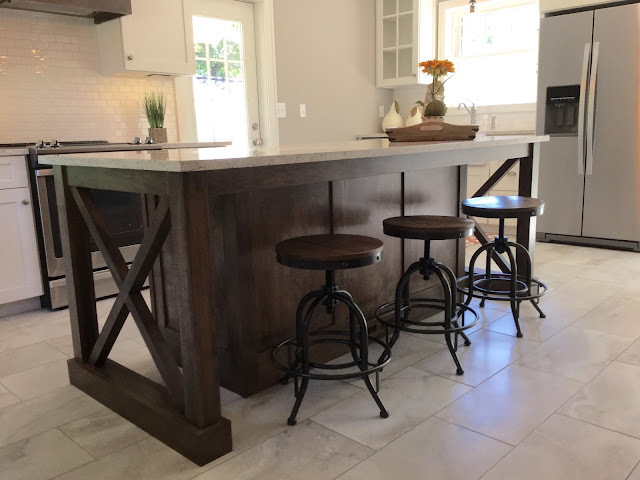 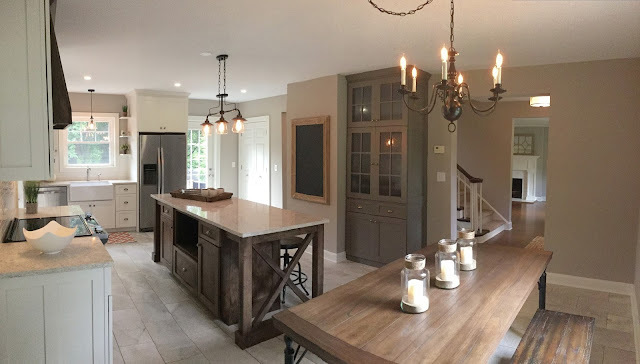 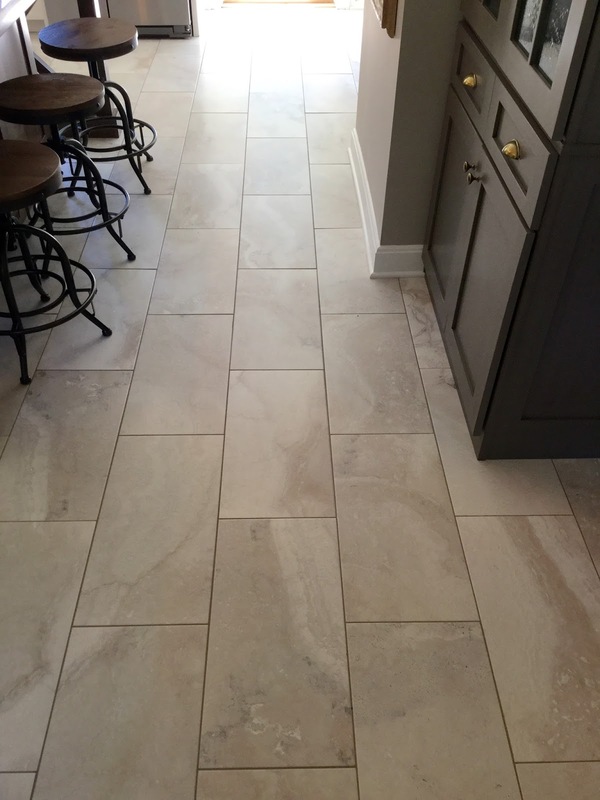 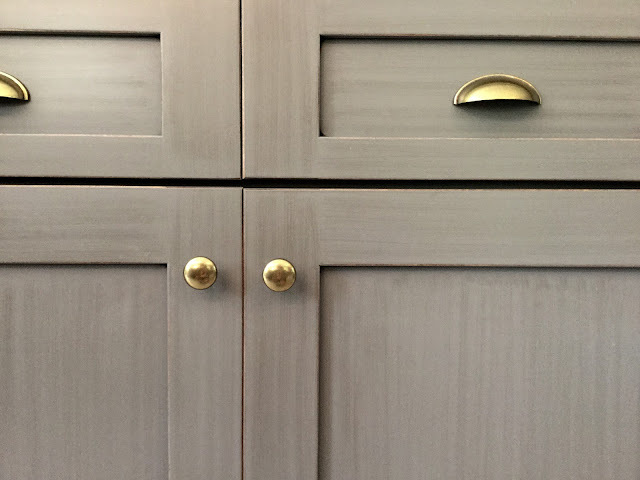 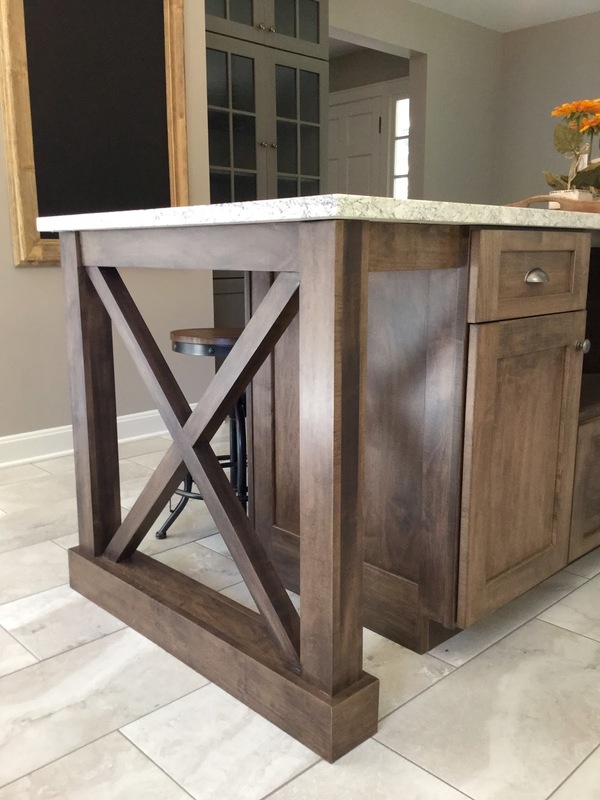 Created an open concept kitchen floor plan with Amish-built custom wood cabinetry, farm house sink, quartz counter tops with subway tile back splash, large center island including bar seating, tiled floors, area for large dining room table, custom-built wood hutch, and pantry for additional storage, and an all new half bath. 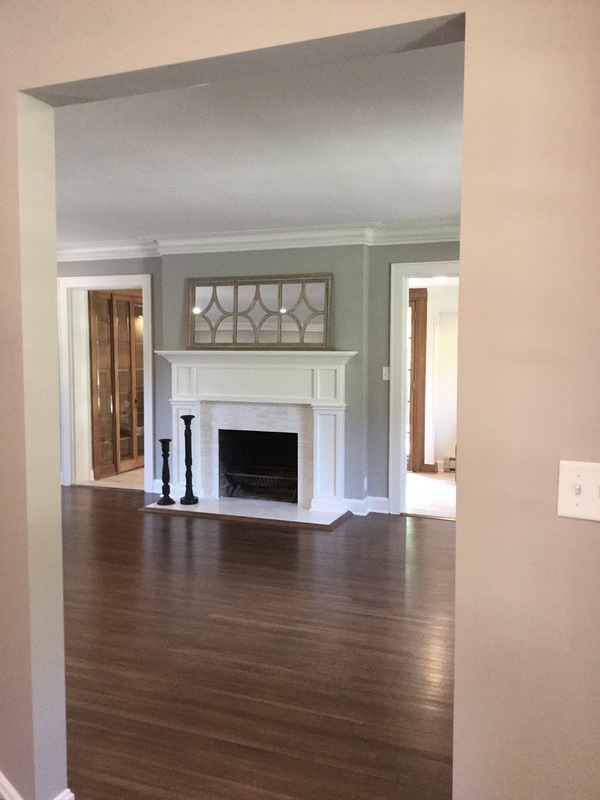 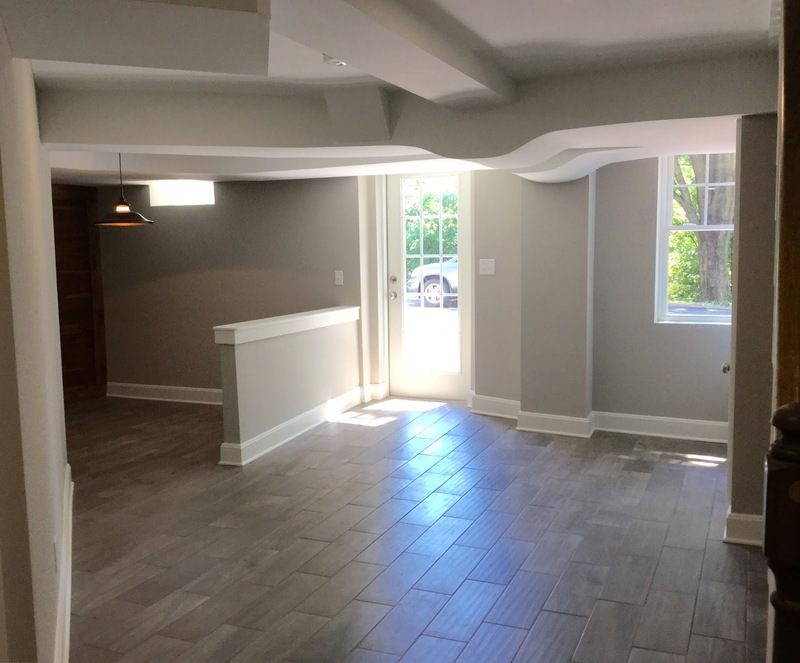 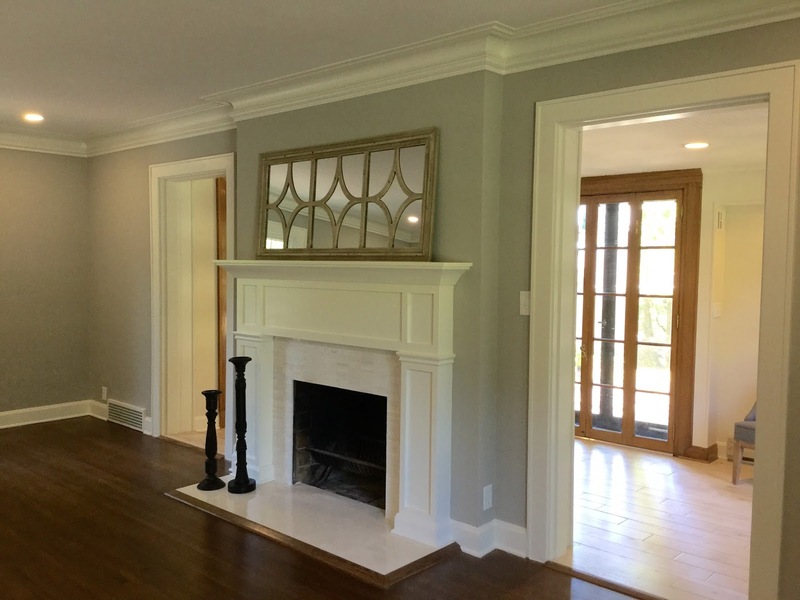 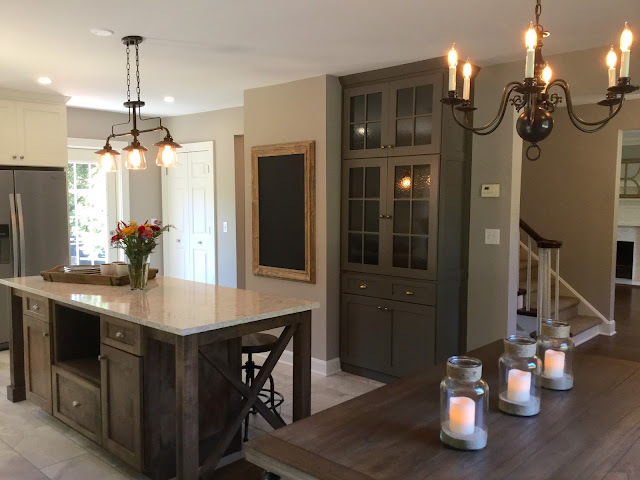 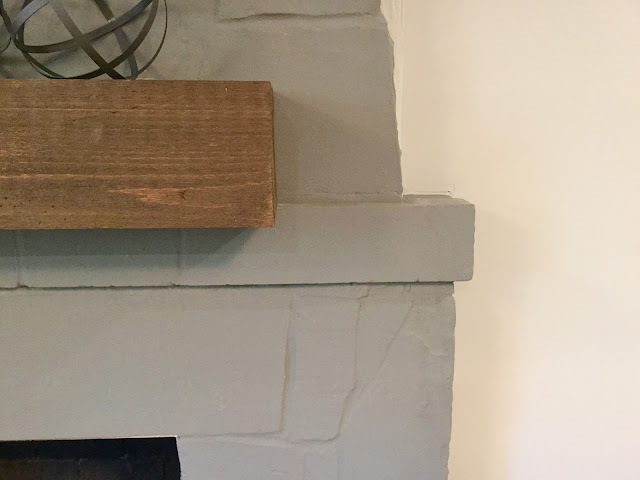 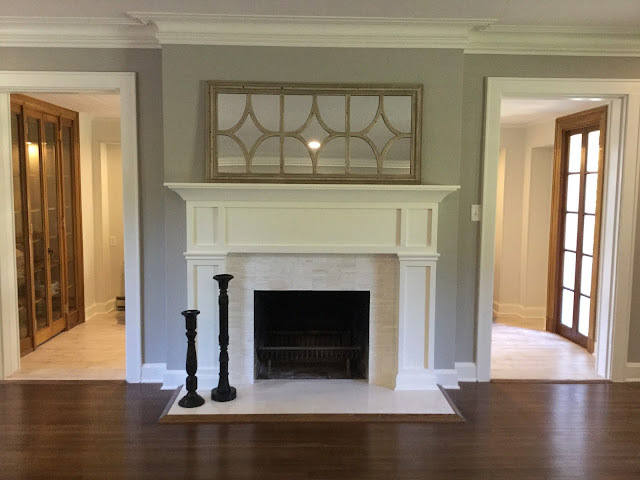 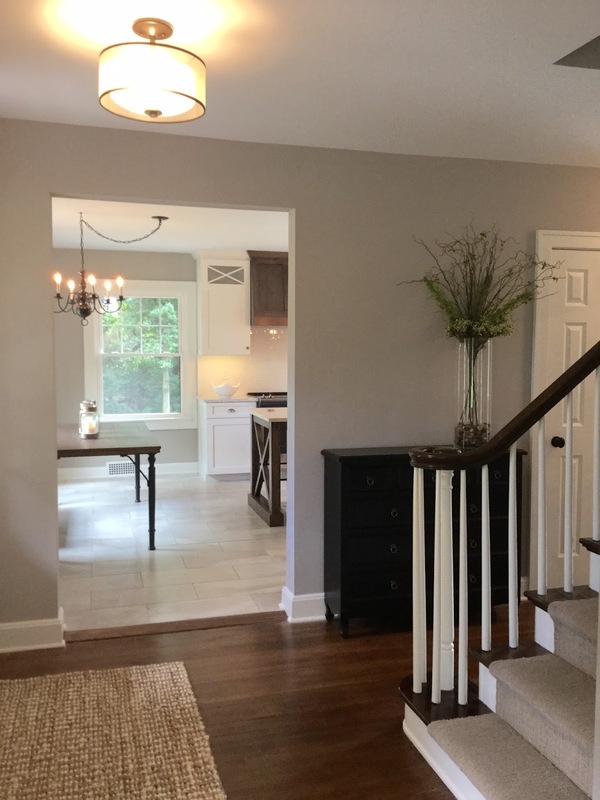 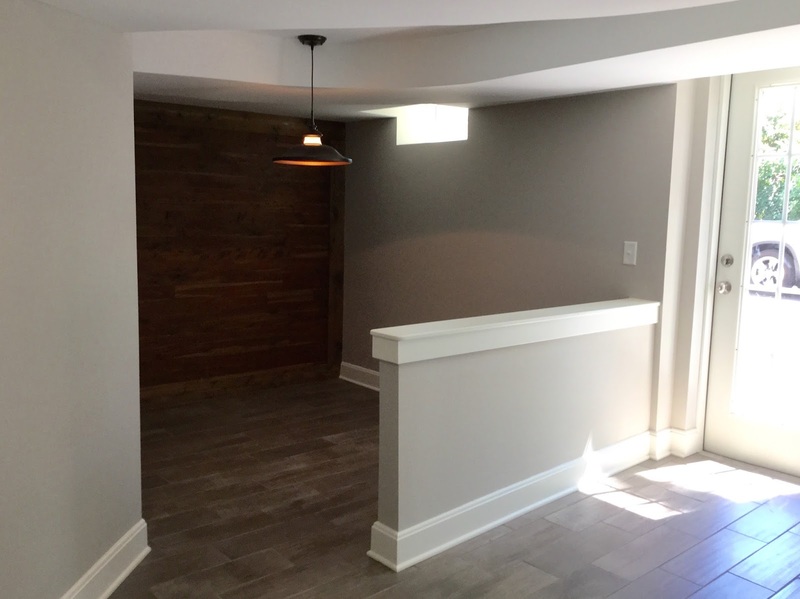 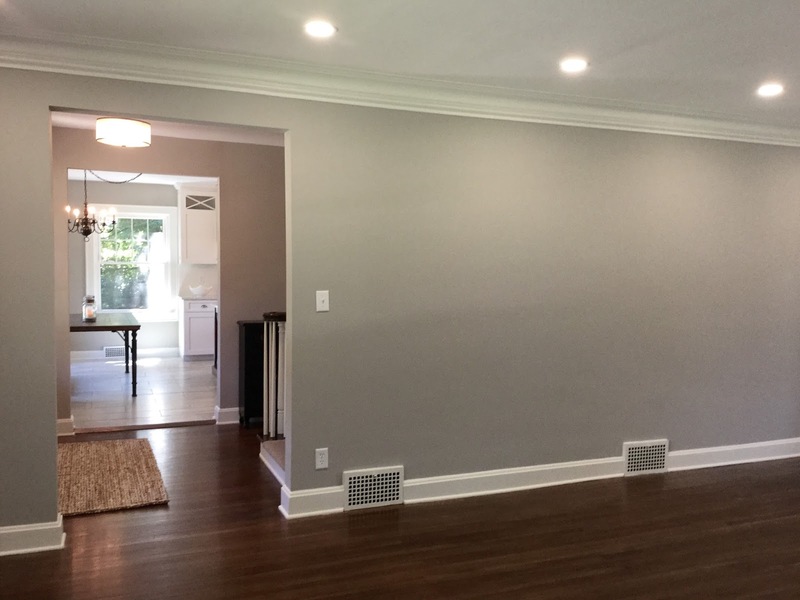 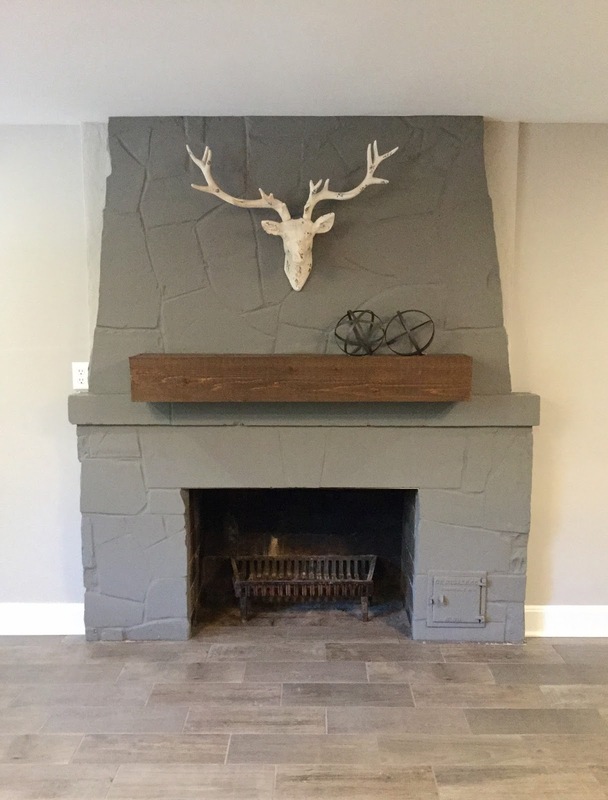 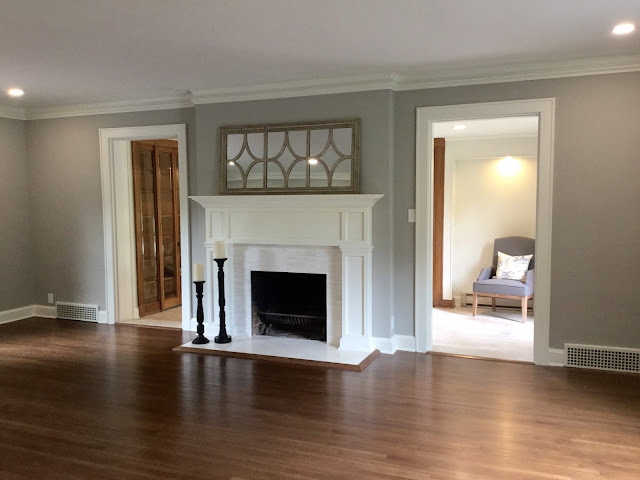 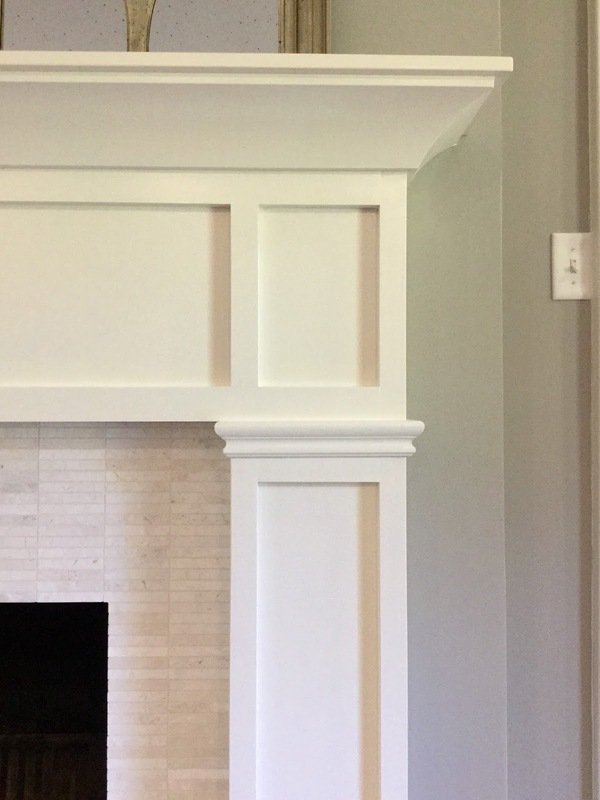 Huge open Living Room with new custom-built fireplace mantel with new marble surround and hearth , restored original 9” plaster crown moldings, new dimmable LED recessed lighting, and beautiful hardwood floors refinished by Mr. Sandless. 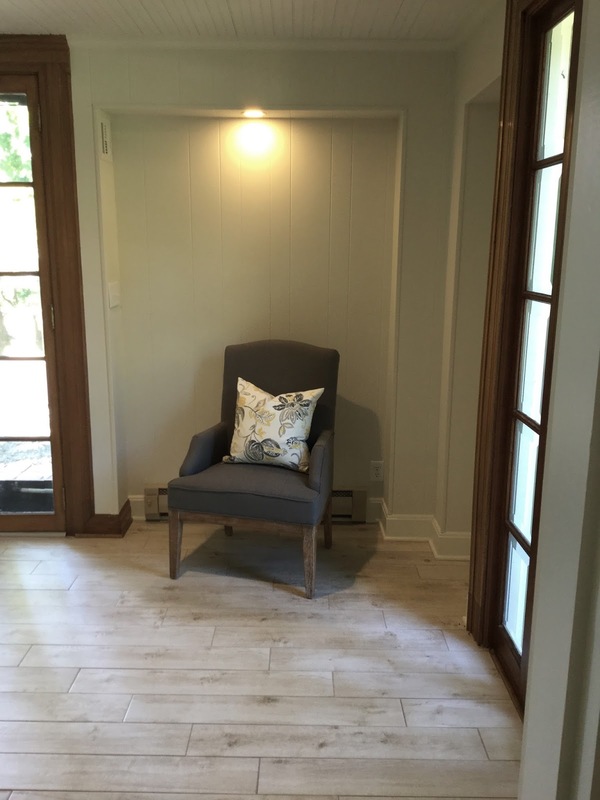 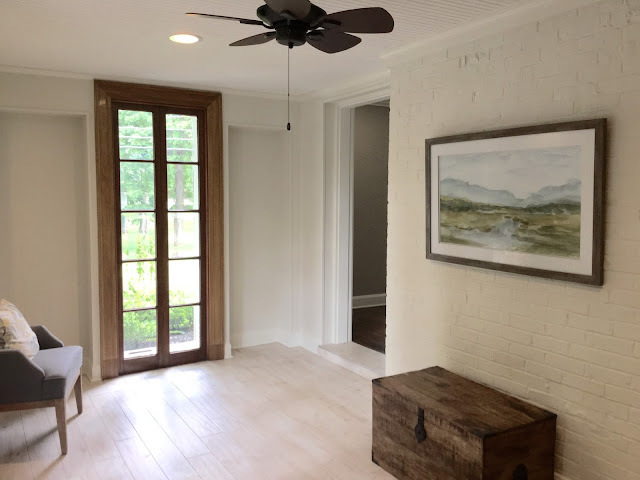 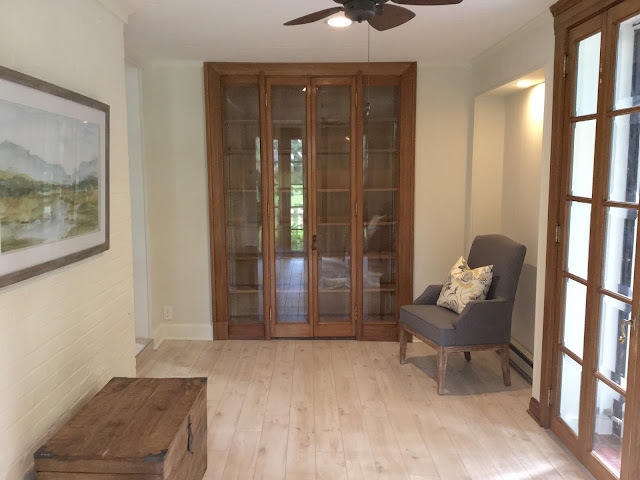 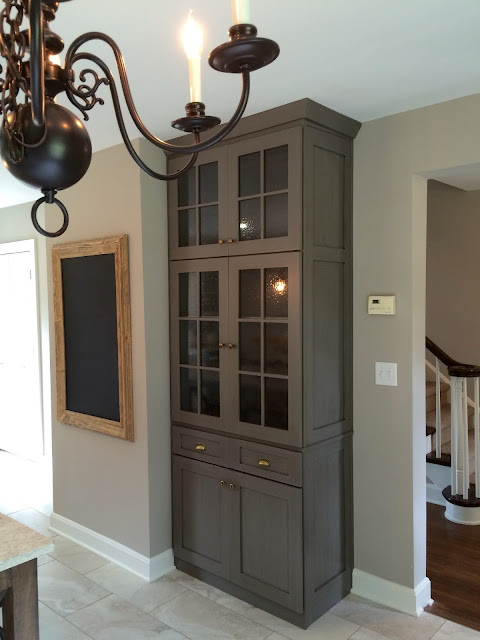 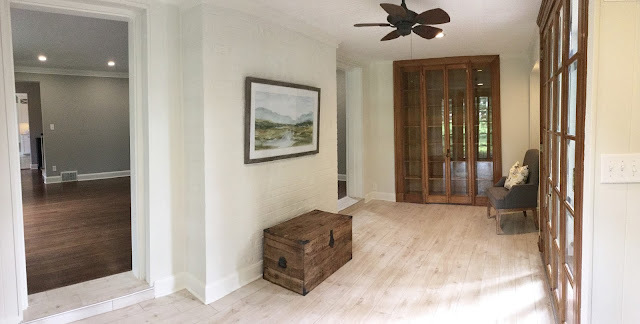 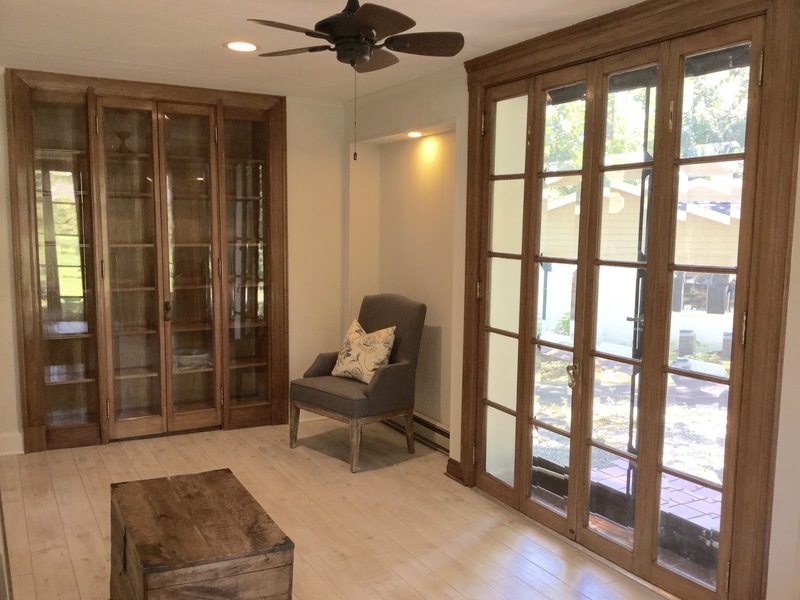 The Living Room leads into a bright Sunroom featuring original solid mahogany beveled glass vintage cabinetry, wood-grain planked tiled floors, painted brick accent wall, new recessed LED lighting, and original mahogany beveled glass French doors. 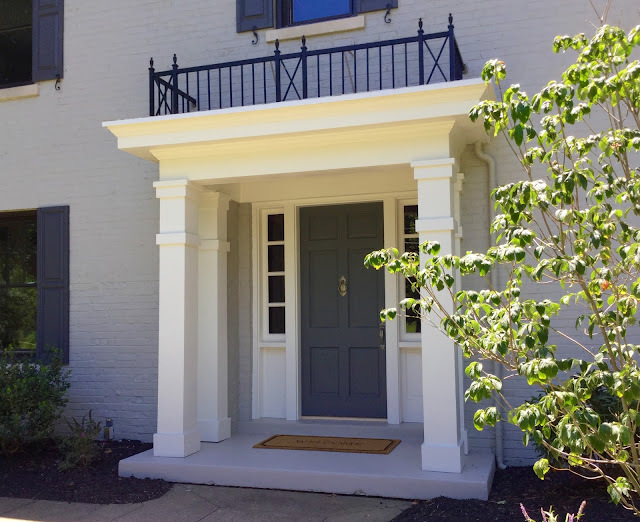 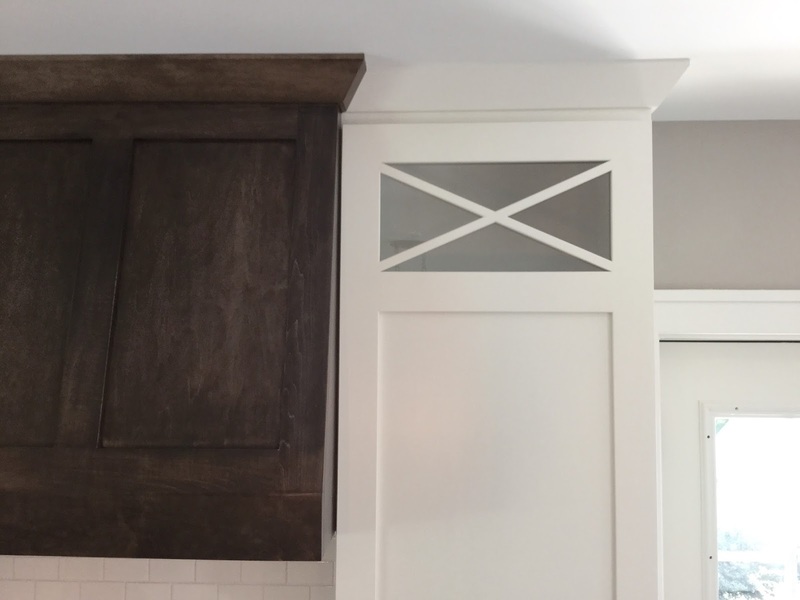 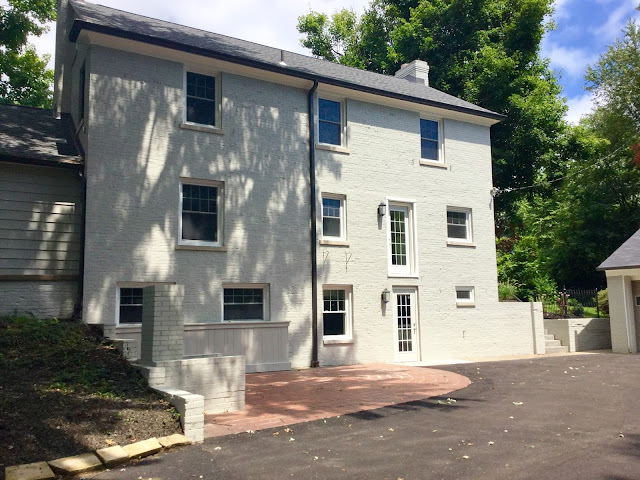 The Colonial’s second floor contains three large bedrooms with a Master En Suite, new Laundry Room, linen closet, cedar closet, and a Guest Bathroom. 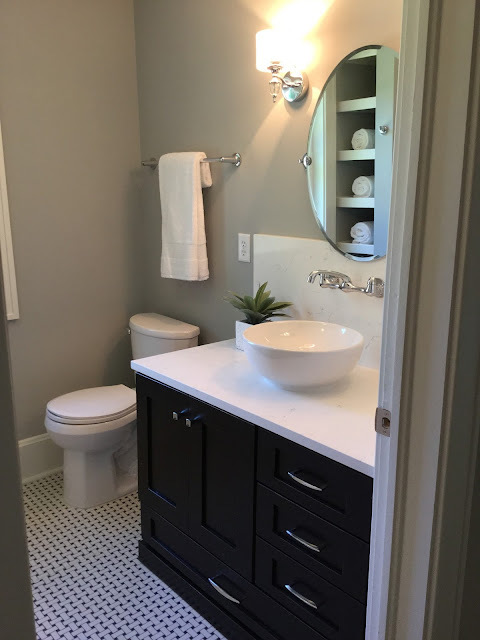 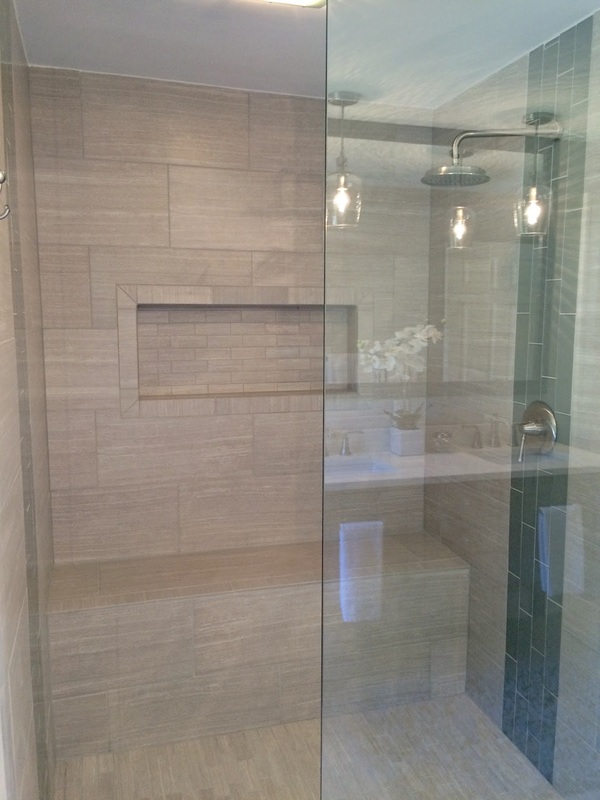 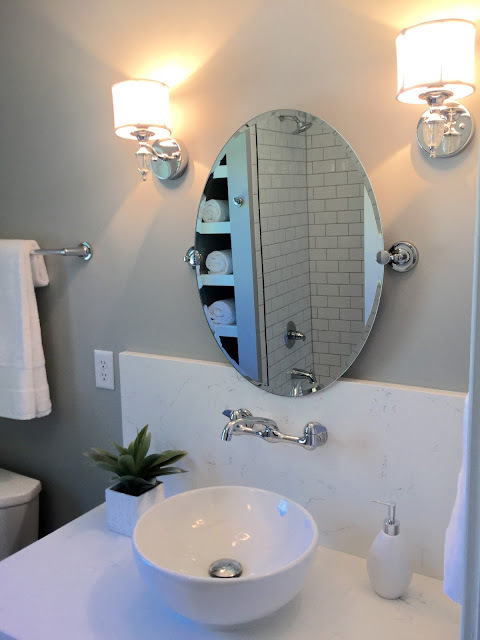 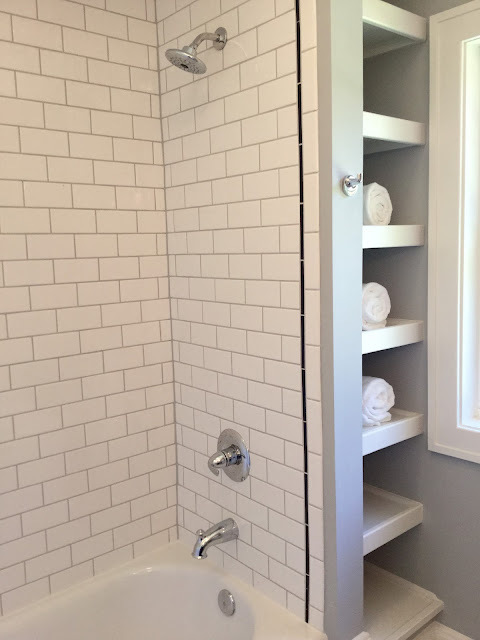 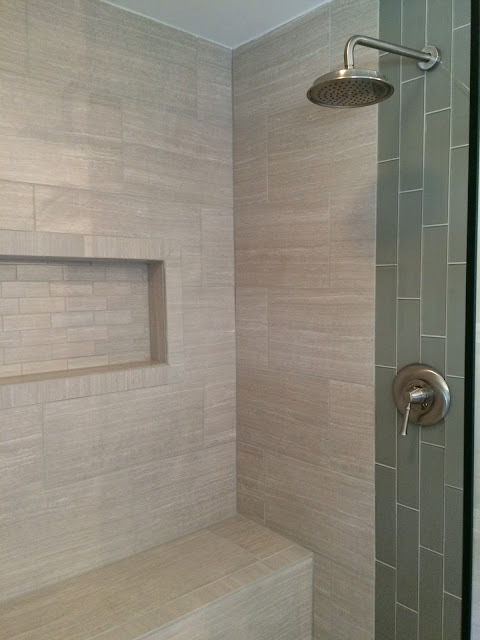 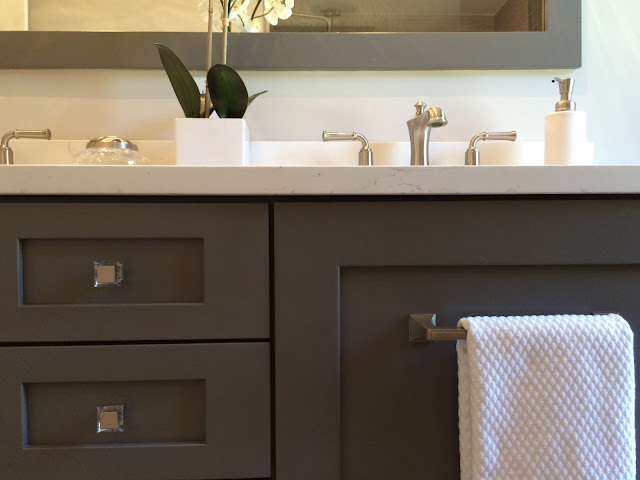 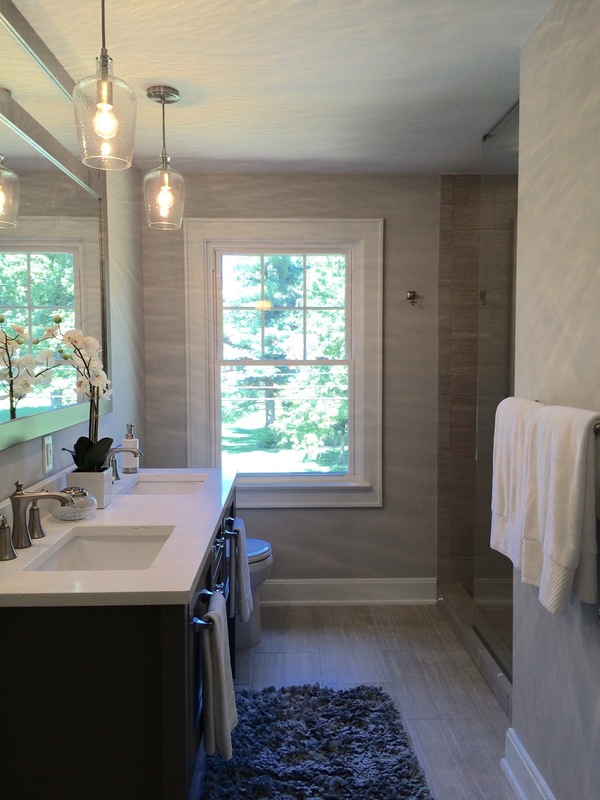 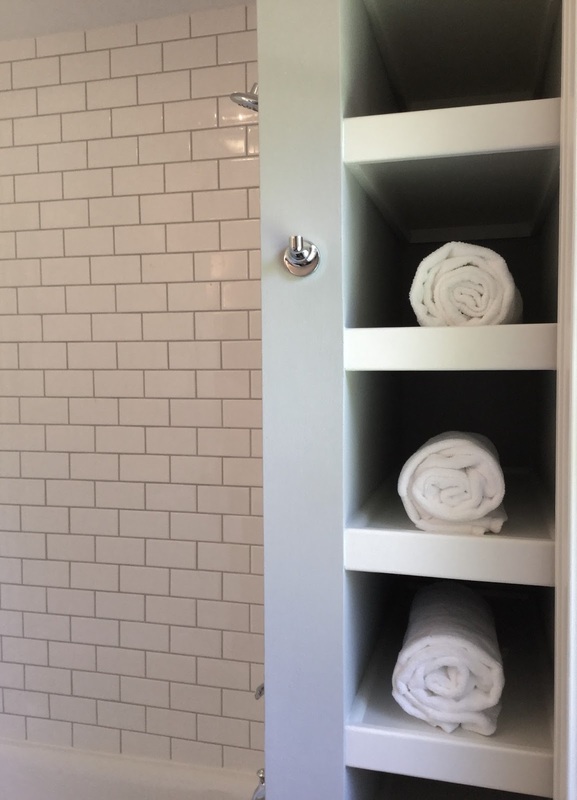 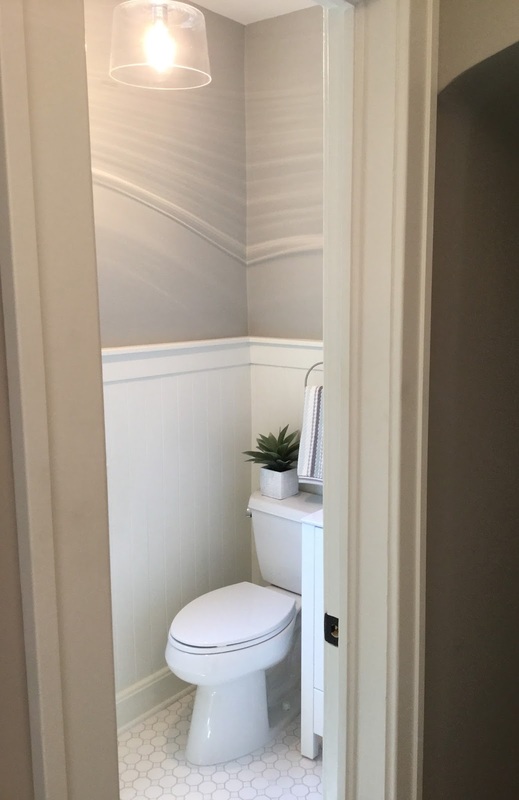 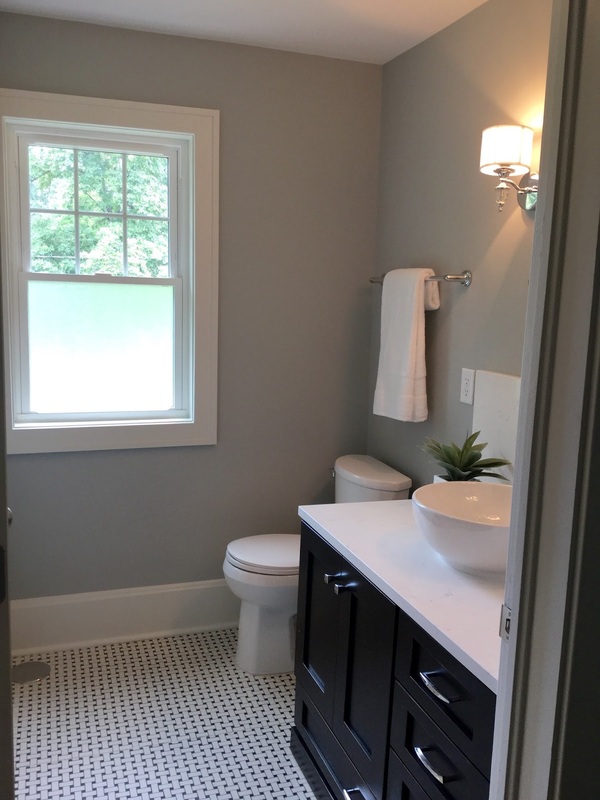 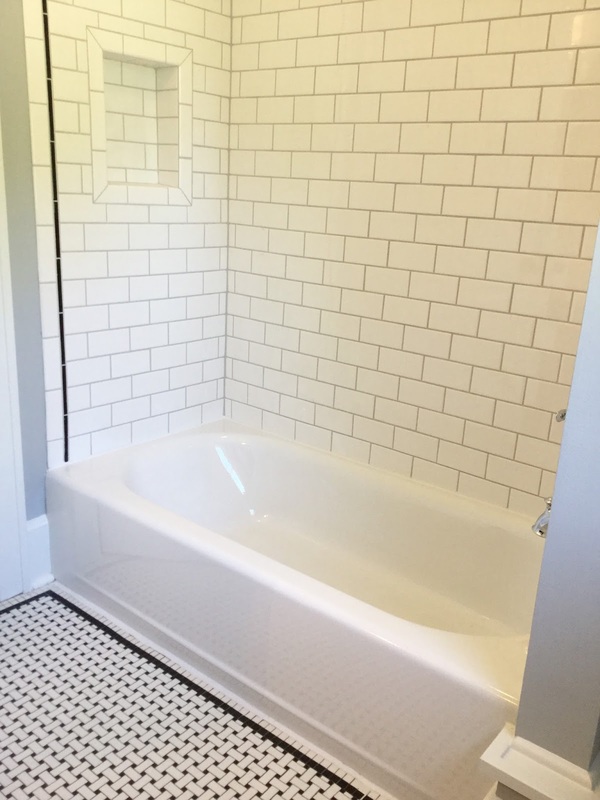 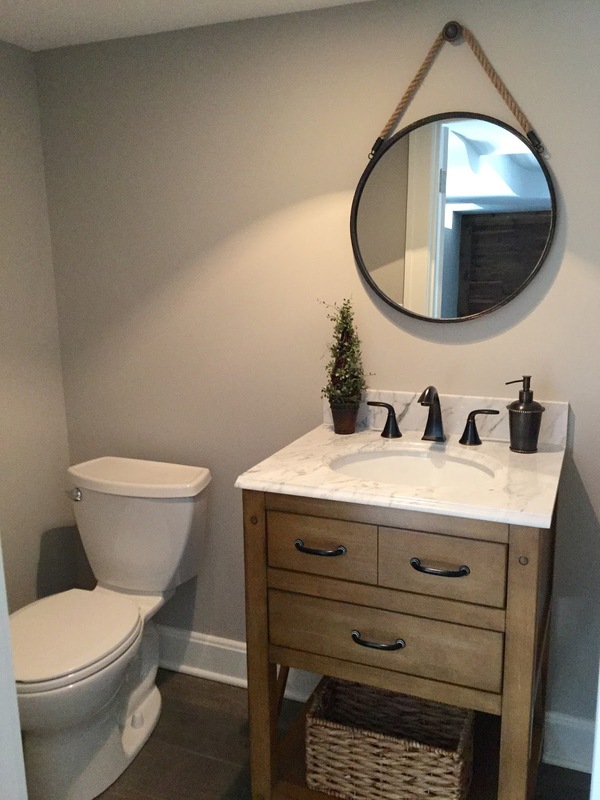 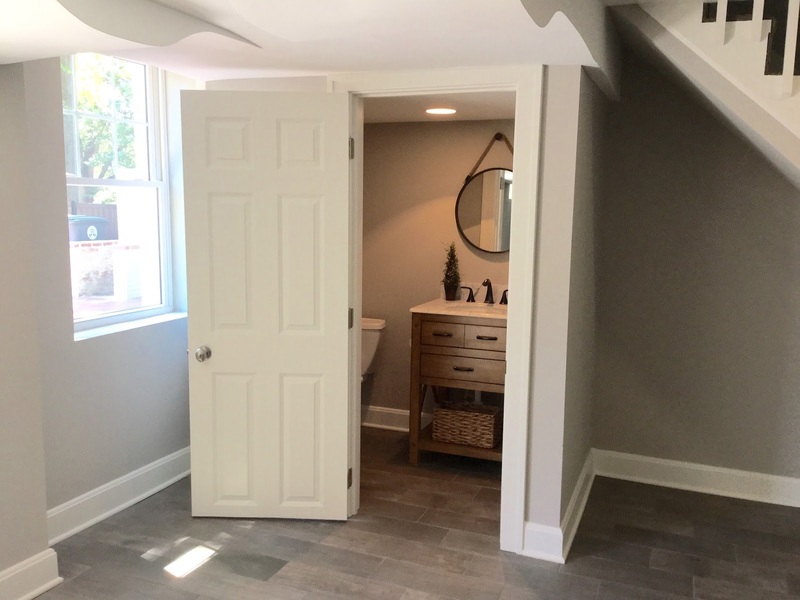 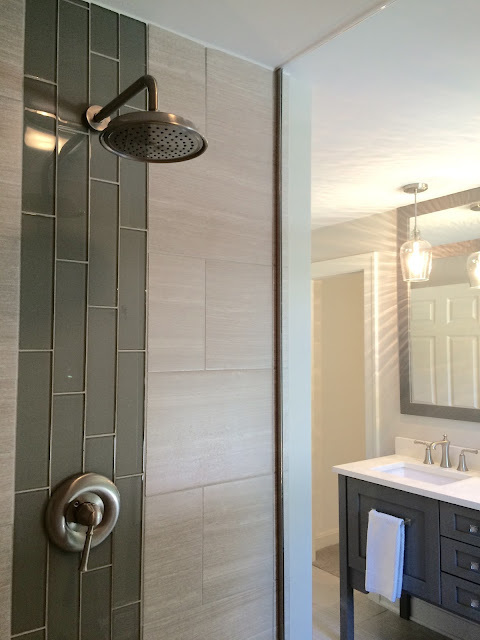 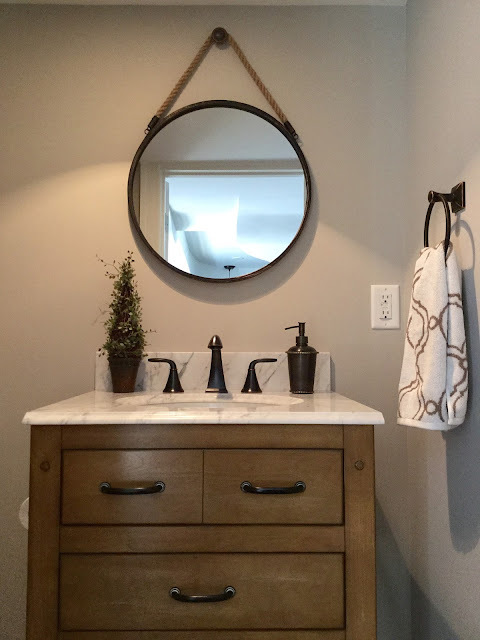 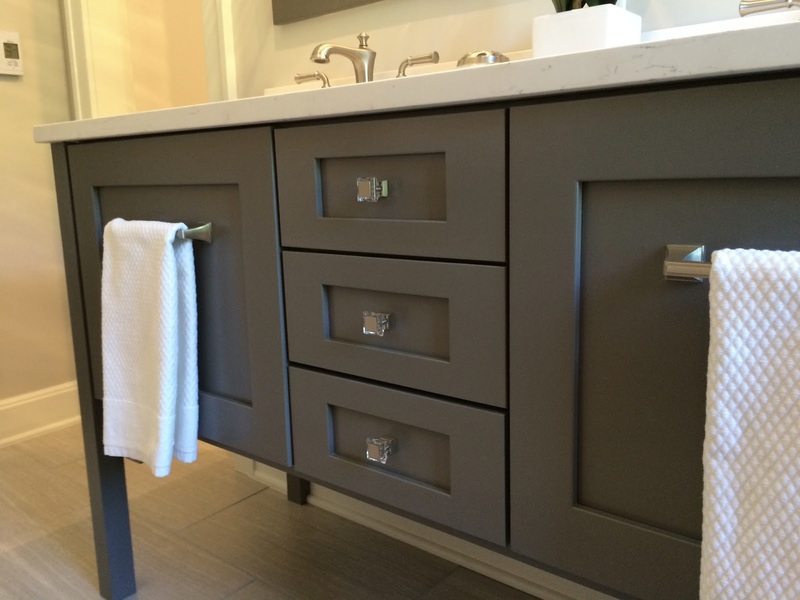 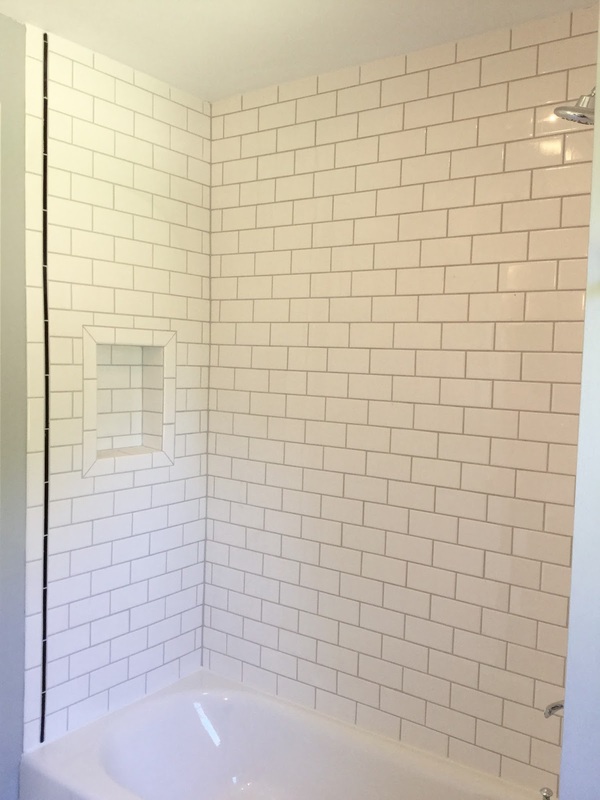 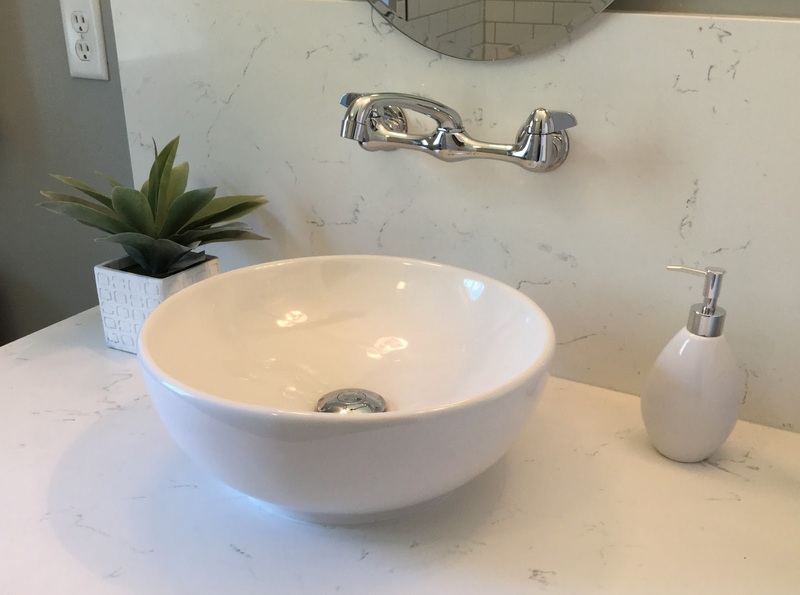 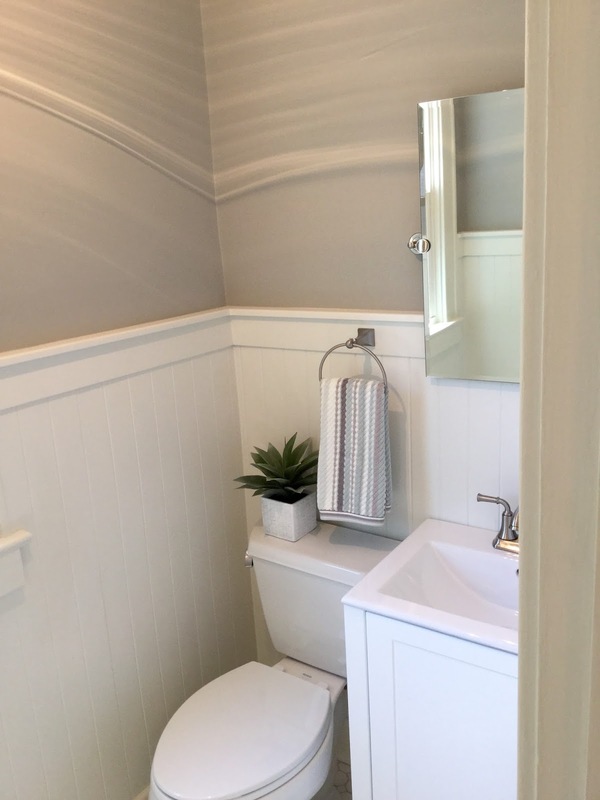 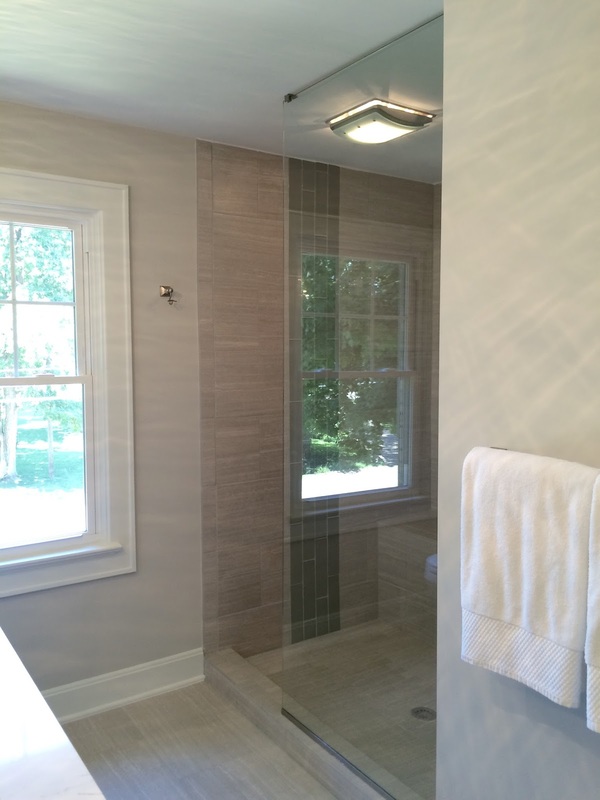 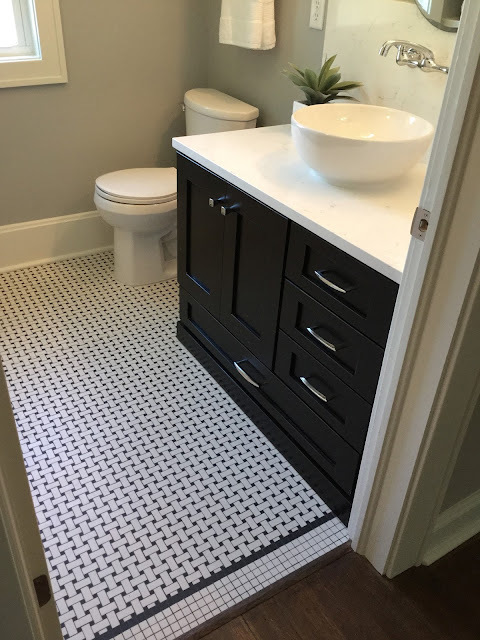 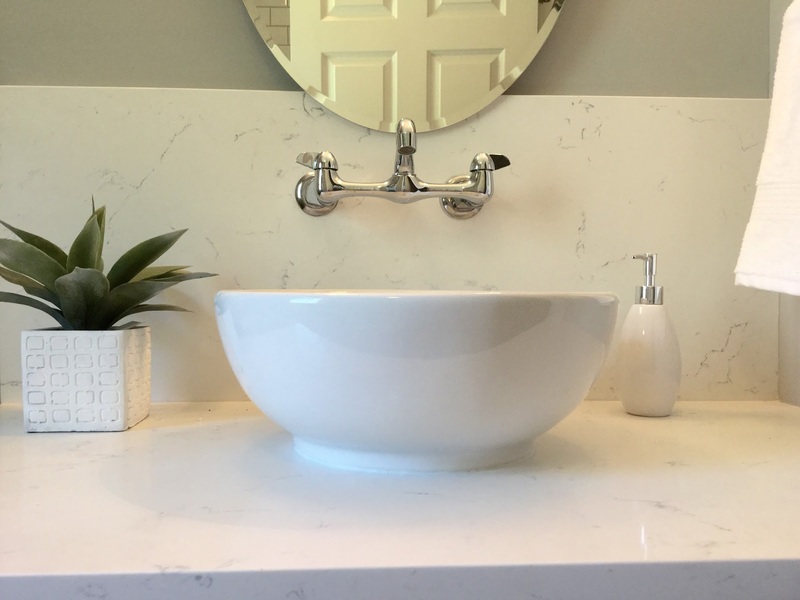 New master en suite bathroom includes Amish-built custom wood double-vanity with quartz counter top, a huge glass tiled walk-in shower, radiant heated tile floors, and large walk-in master closet. 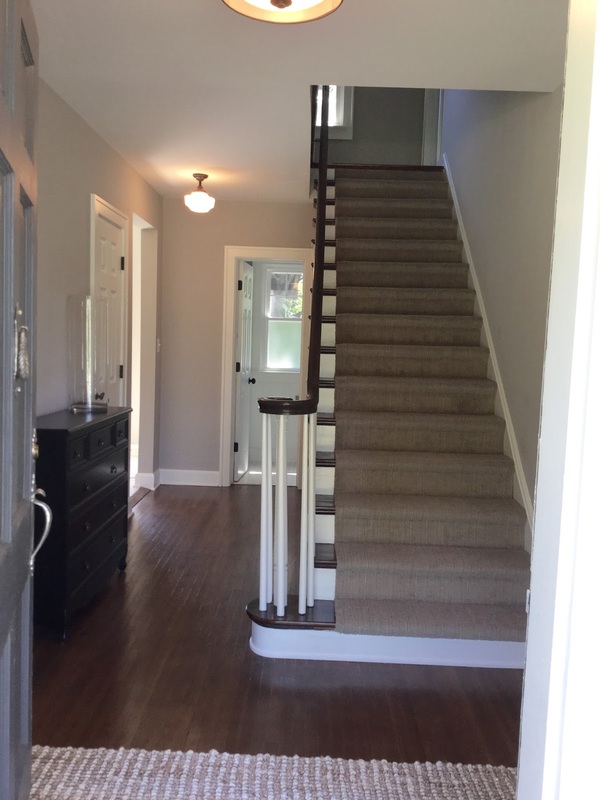 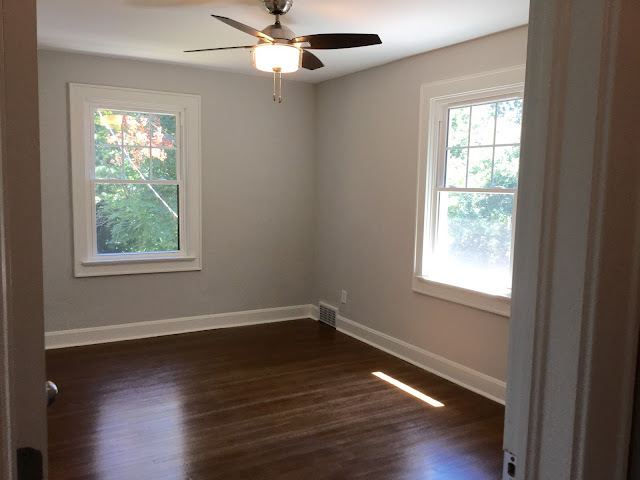 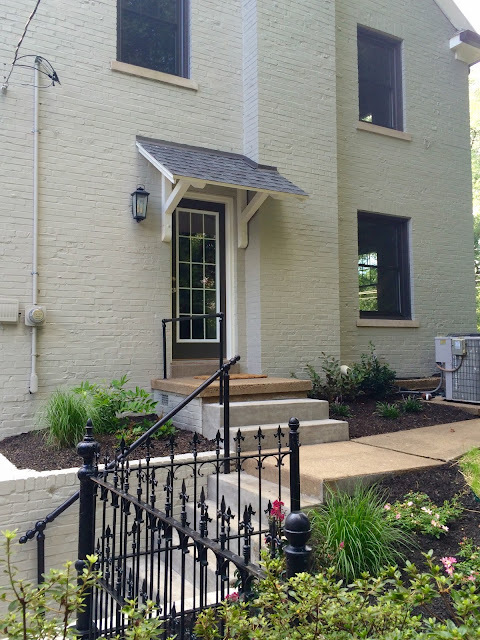 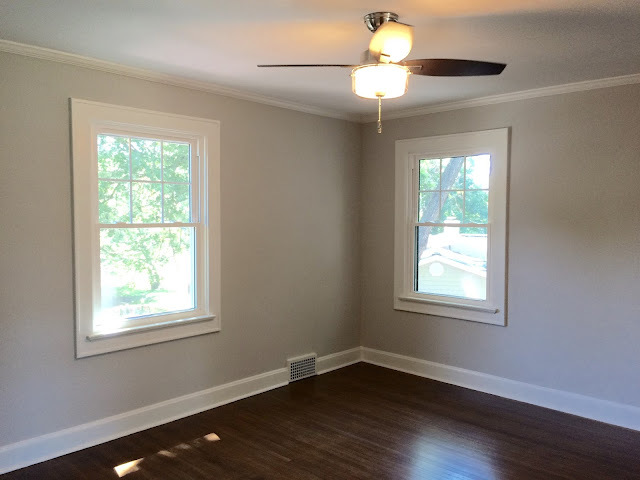 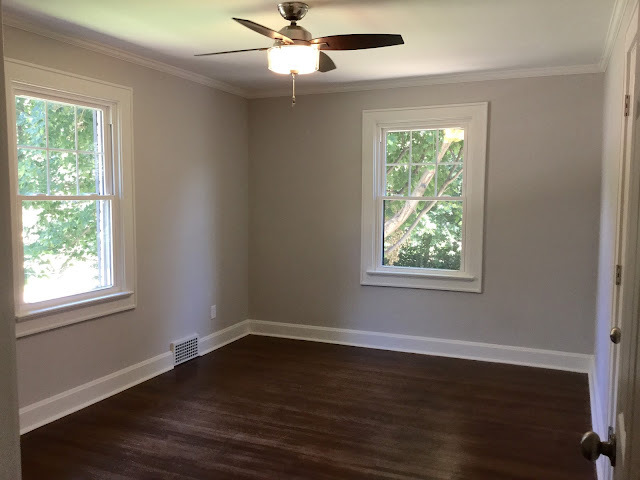 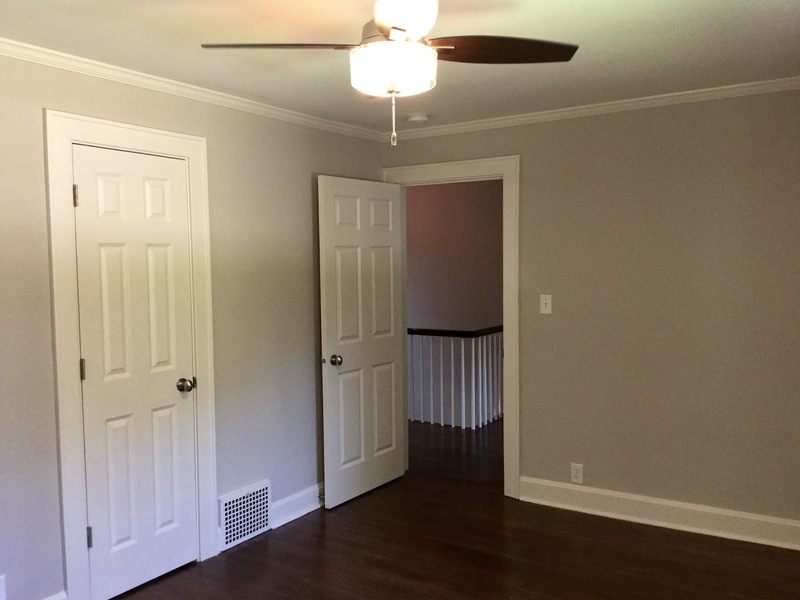 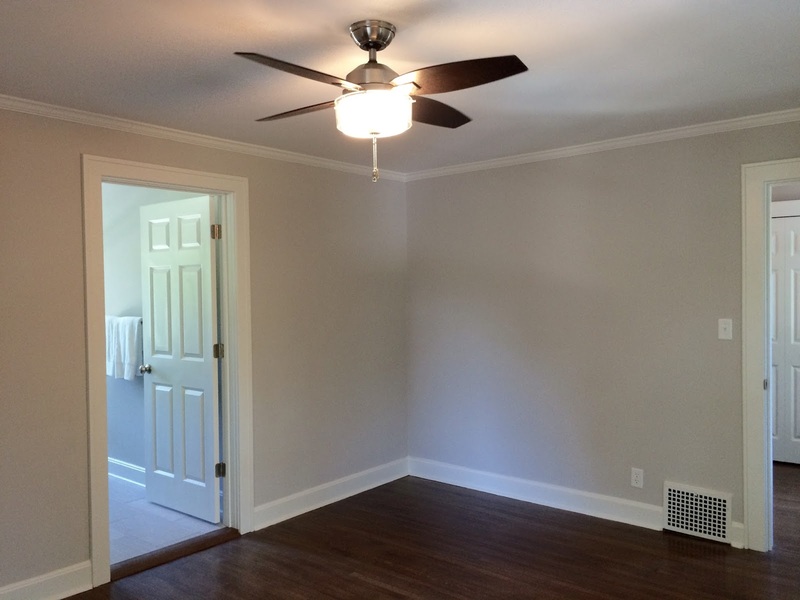 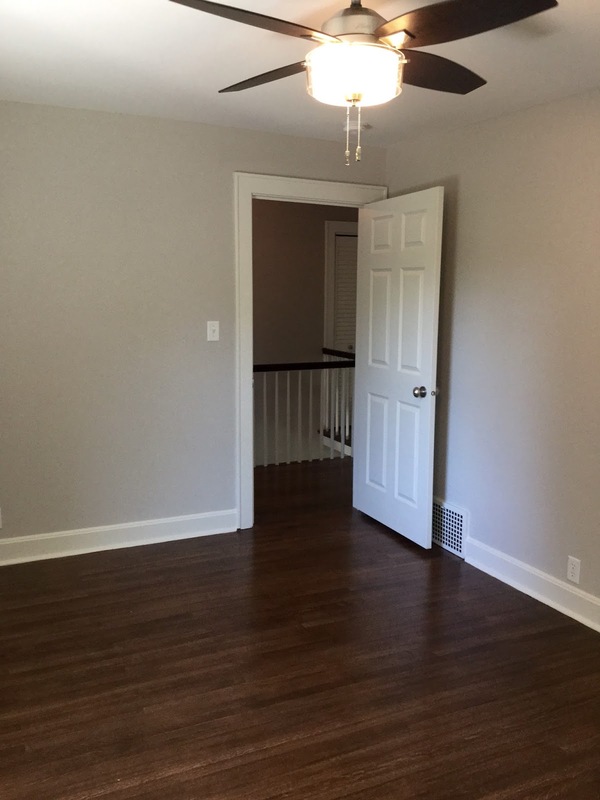 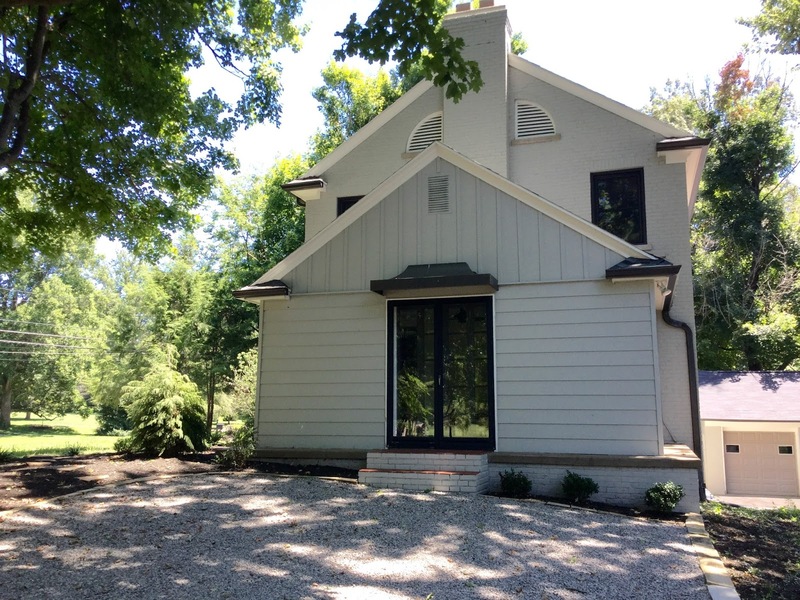 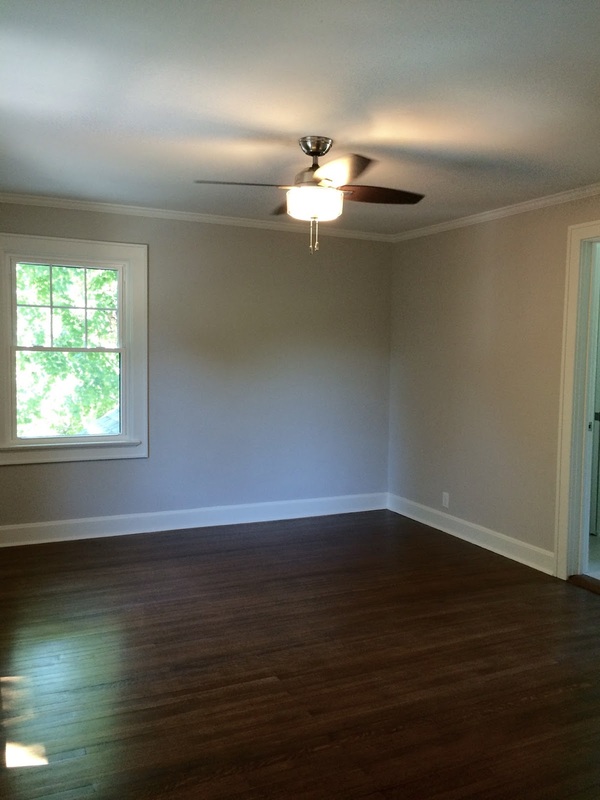 Two additional large bedrooms with refinished original hardwood floors. 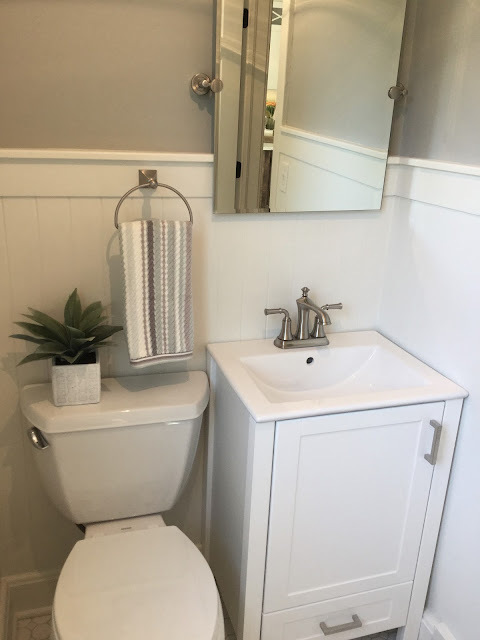 The Guest Bathroom contains an Amish-built custom wood vanity with a vessel sink and wall-mounted fixture, quartz counter top, subway-tiled new shower and tub, vintage basket weave tile floor, and custom open shelving for storage. 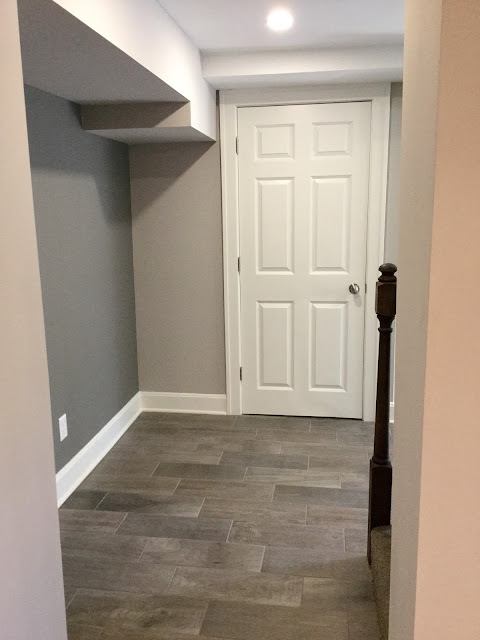 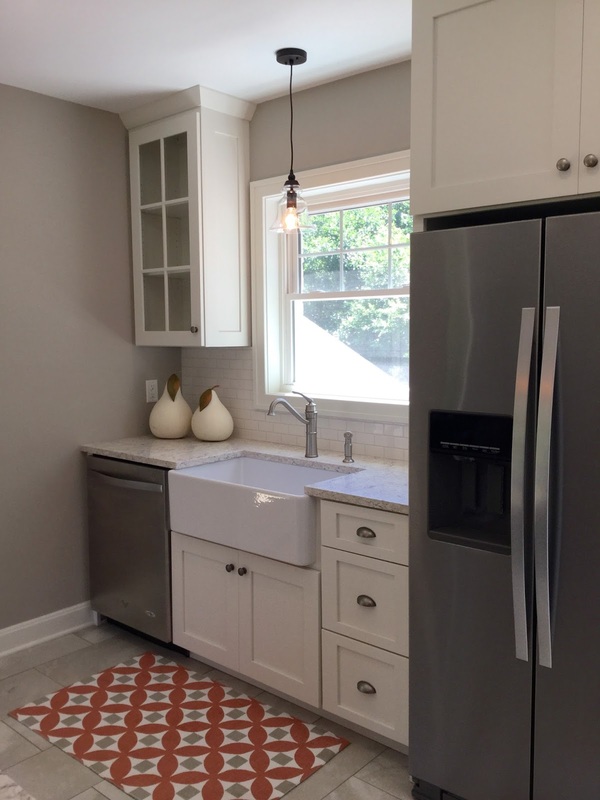 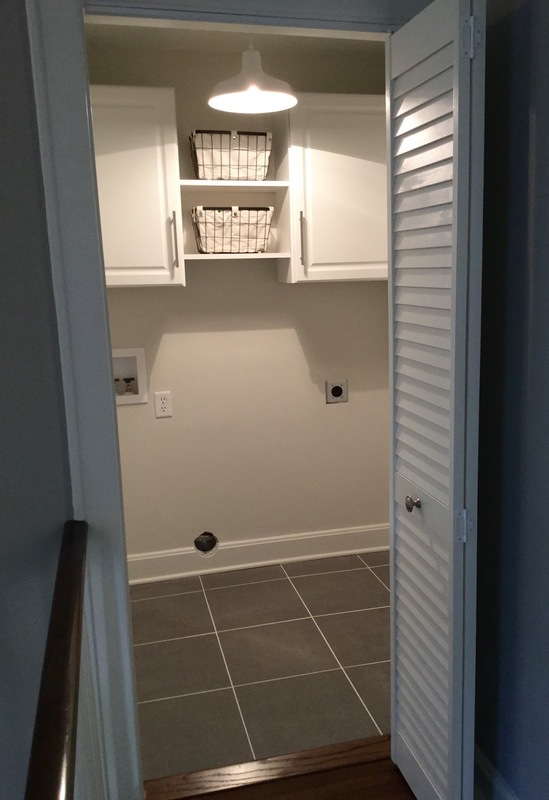 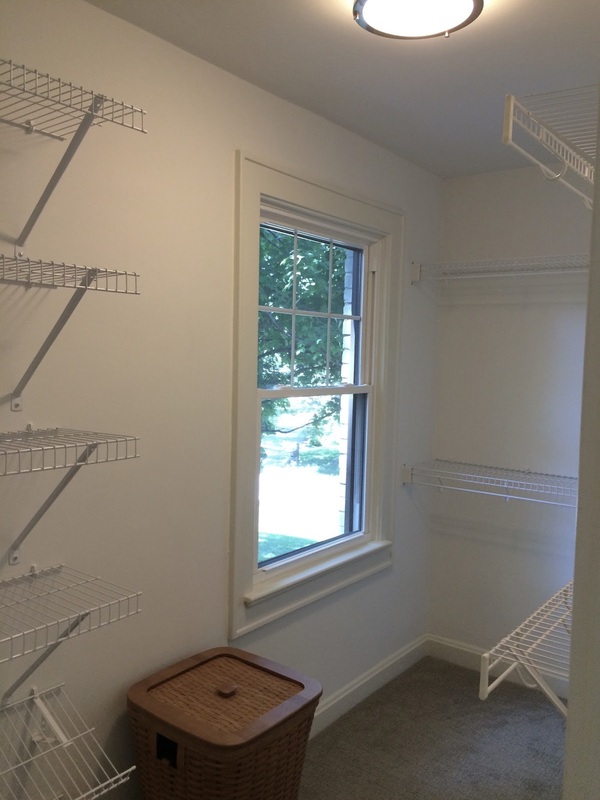 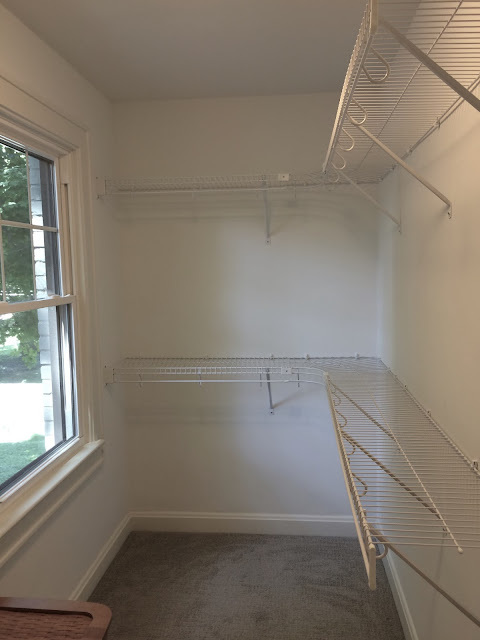 New upstairs Laundry Room with tiled floors, upper cabinetry and open shelving for storage. 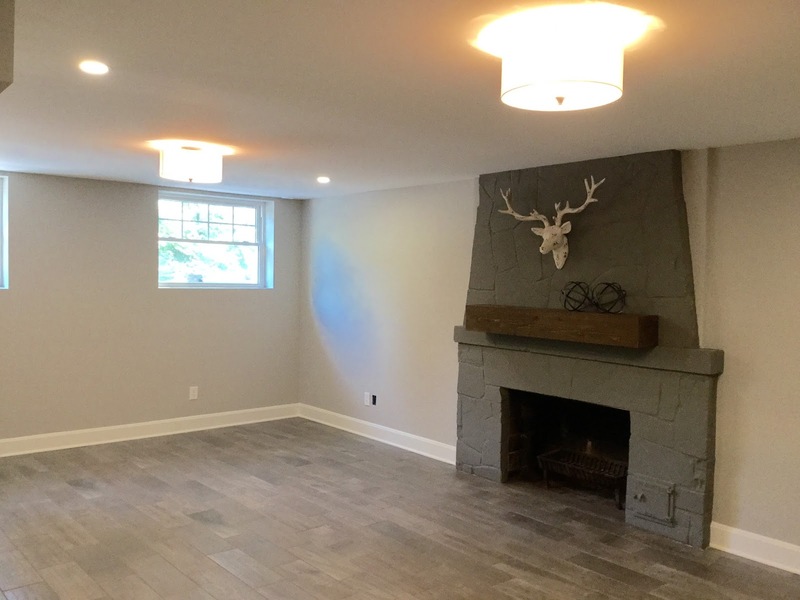 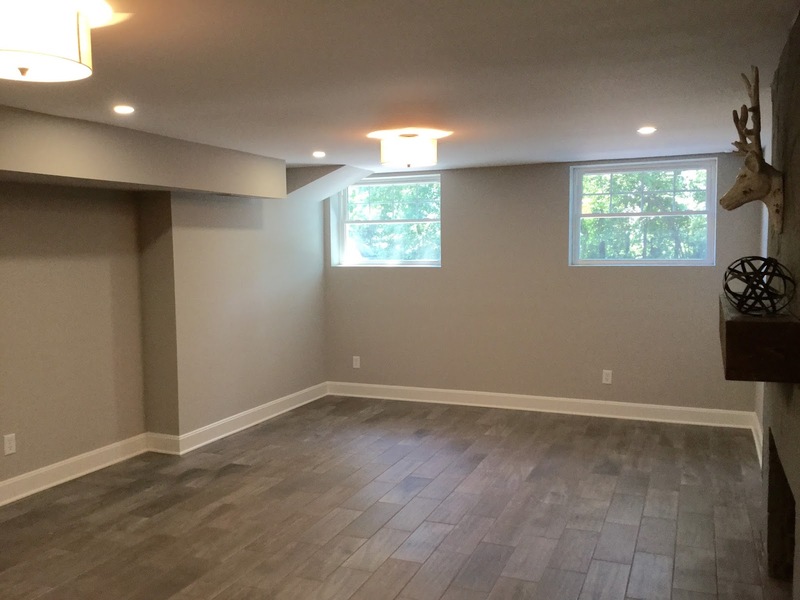 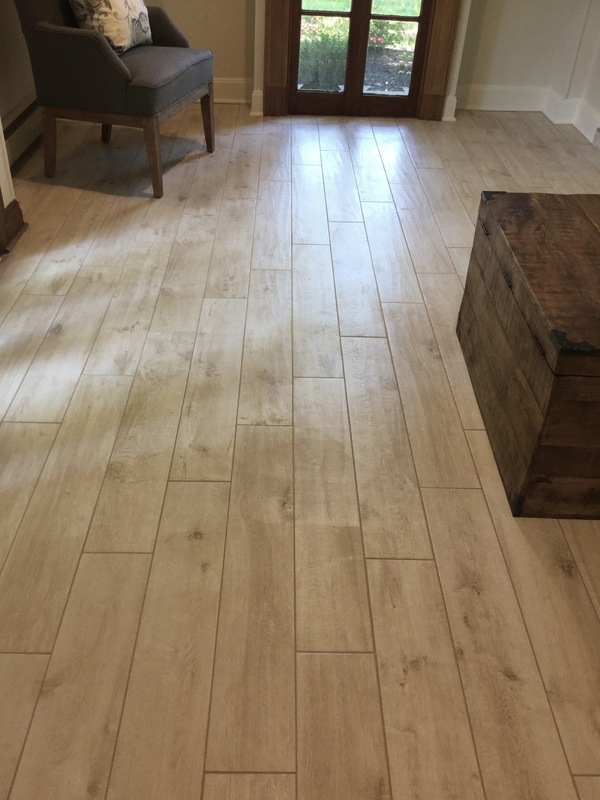 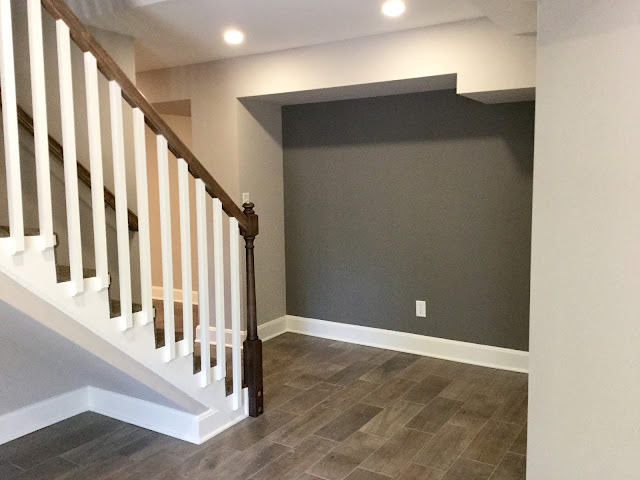 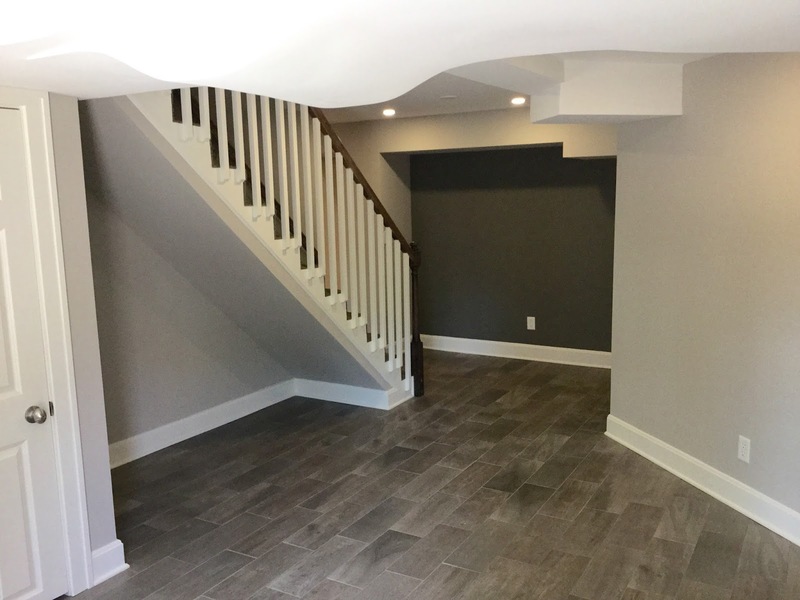 Finished walk-out Basement with large Family Room, rustic stone fireplace with custom-built rough-sawn cedar mantel, all new tiled wood-grained floors, LED recessed lighting, new half bath for pool guests, game area to play cards, and large utility/storage room with new energy efficient water heater. 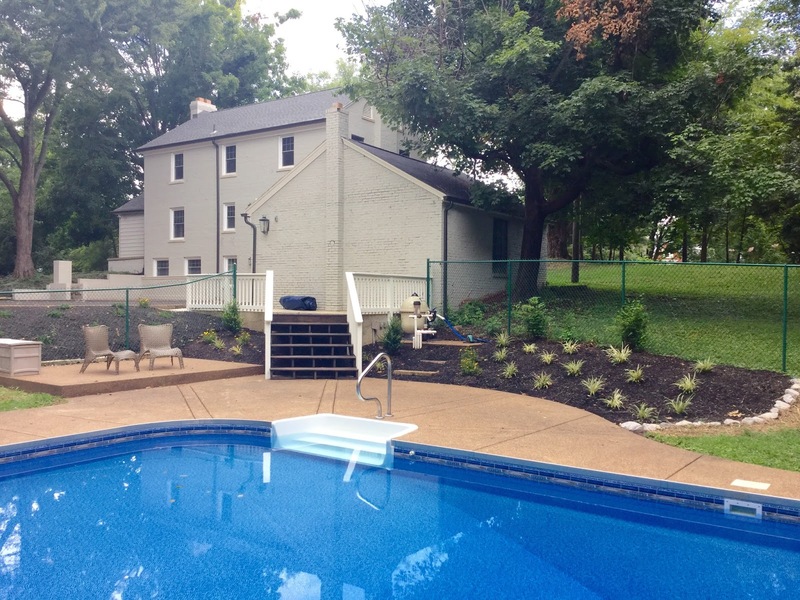 Plus, the Colonial has all new plumbing by Bayer’s Plumbing, and new electrical by Ohio Valley Electric. 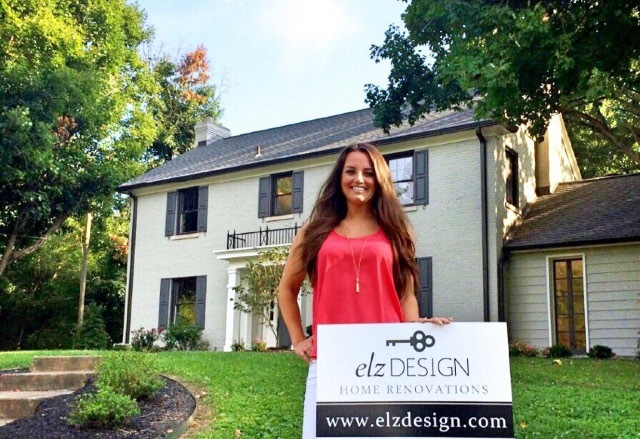 If you are interested in purchasing this beautiful home or need help on your home renovation, please contact me at elzdesignhomes@gmail.com.